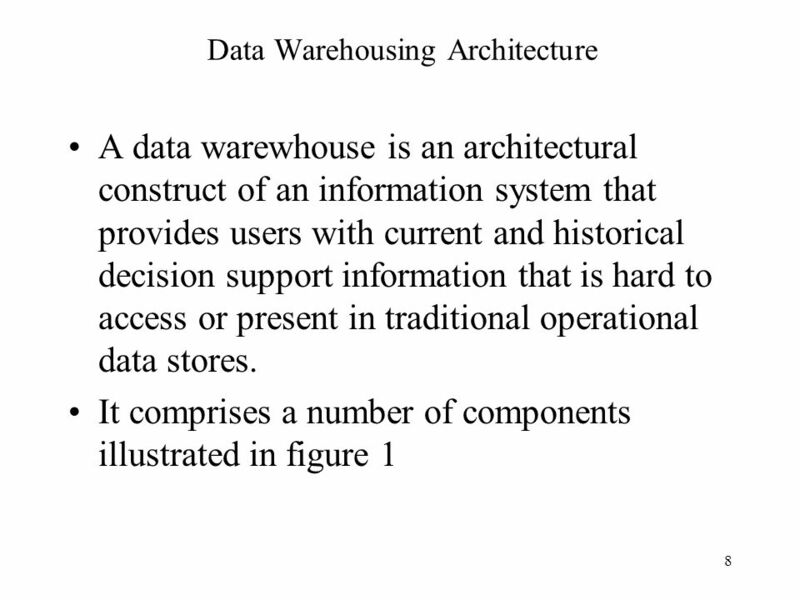 2 Data Warehousing A data warehouse is a repository for all an organisations data. It is designed to present data in very user-friendly formats to end-users. 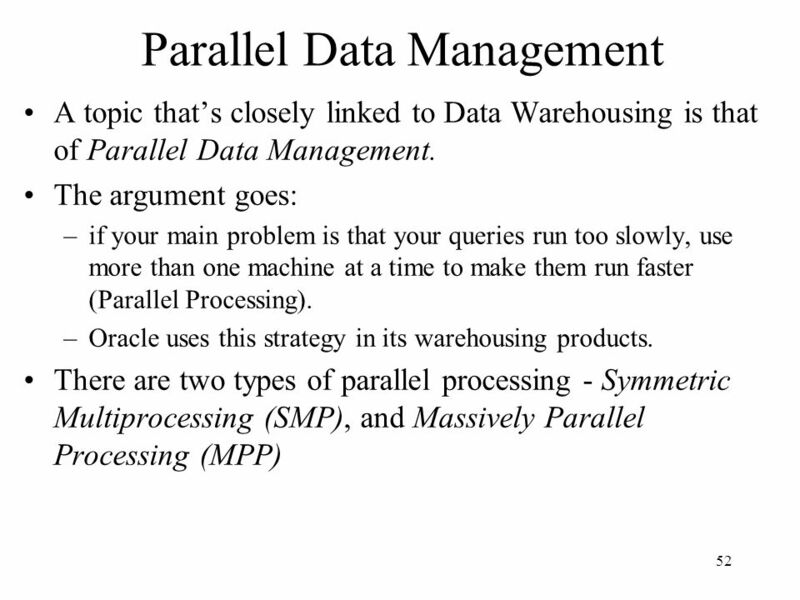 Why is Data Warehousing necessary? think of a typical company that uses computers for order processing, invoicing, etc. Data is gathered for every transaction that occurs. Different departments probably use different systems, each designed for a specific task. There will be lots of different database Tables, in different formats, on different machines. There will be tie-ups between data items, but those tie-ups may not be obvious outside the applications that manipulate the tables. Also, the amount of data is constantly increasing. Some estimates state that the size of a typical data processing system doubles every two years. Both standard, and ad-hoc, reports must be catered for, and they must run in a reasonable time-frame. Some solutions to the issues listed can be implemented in the applications that manage specific data. E.G. if you want to ask “How much does this customer owe?” then the original package is probably the one to use. But if you want to ask “Was this ad campaign more successful than that one?”, you require data from more disparate sources, and one application may not provide all of it. 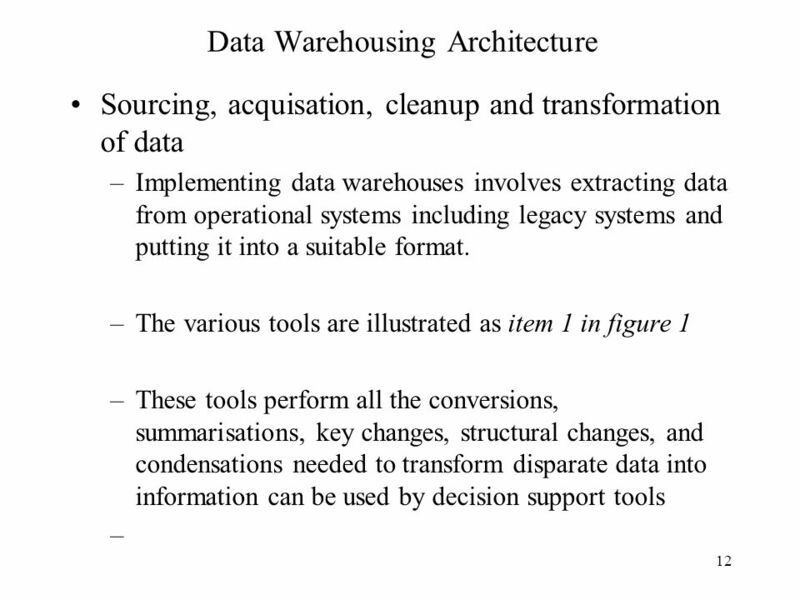 The new alternative is a Data Warehouse: a D.W. is a way of organising data from a wide range of formats, possibly from different locations, so it’s all available in a single location. Once this stage is complete, the collection of data is usually frequently replicated around multiple locations. This means users have a local copy of the data they need to inspect. This improves query run-times, and reduces communications overheads. The data is not only collected and joined, however. 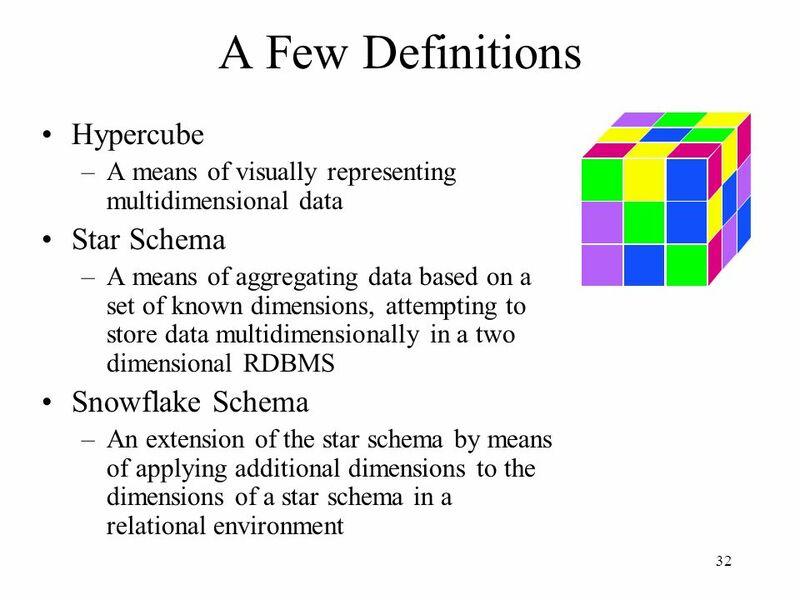 What the data means is described in a way that the end-users can easily understand, e.g. 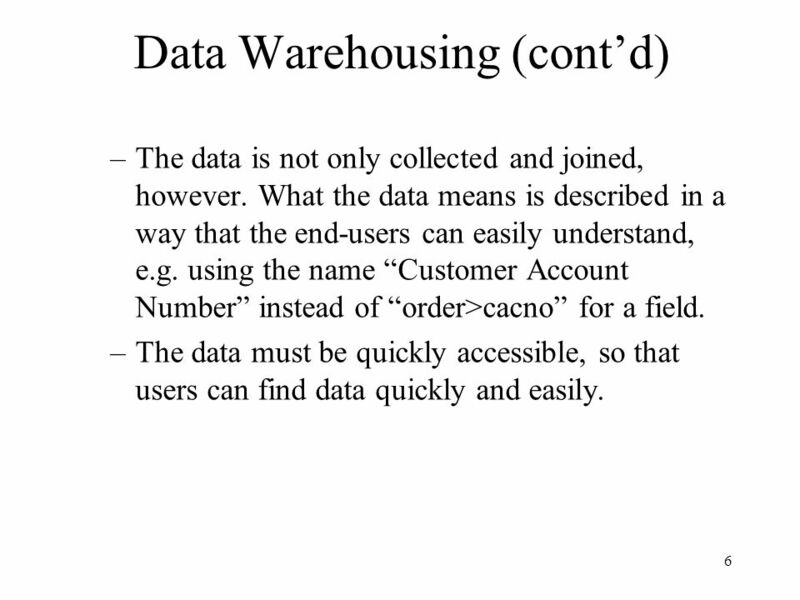 using the name “Customer Account Number” instead of “order>cacno” for a field. The data must be quickly accessible, so that users can find data quickly and easily. 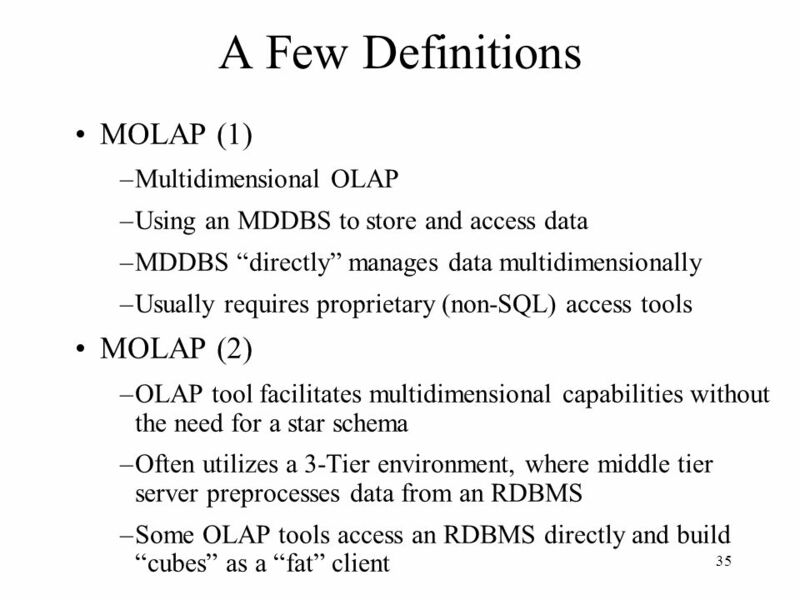 The tools have to deal with: Database hetergeneity: DBMS can be very different in data models, data access language etc. Data hetergeneity: the difference in the way data is defined and used e.g. synonyms and different attributes for the same entity etc. 16 Meta Data Versioning In the operational environment, there tends to be a single instance of data and meta data at any one moment in time. 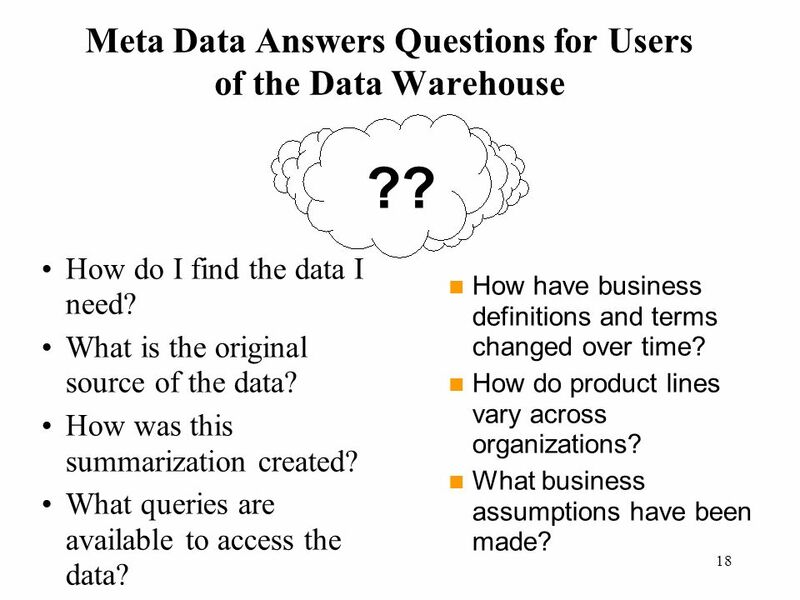 In the data warehouse environment, there are multiple definitions of data and meta data over an historically long period of time. Therefore, versioning of data warehouse meta data is crucial to the success of the data warehouse vis-a-vis the end users’ ability to access and understand the data in the data warehouse. Develop an Information Directory that integrates technical and business metadata. Keep the metadata current and accurate! Maintain the time variant history of the metadata! 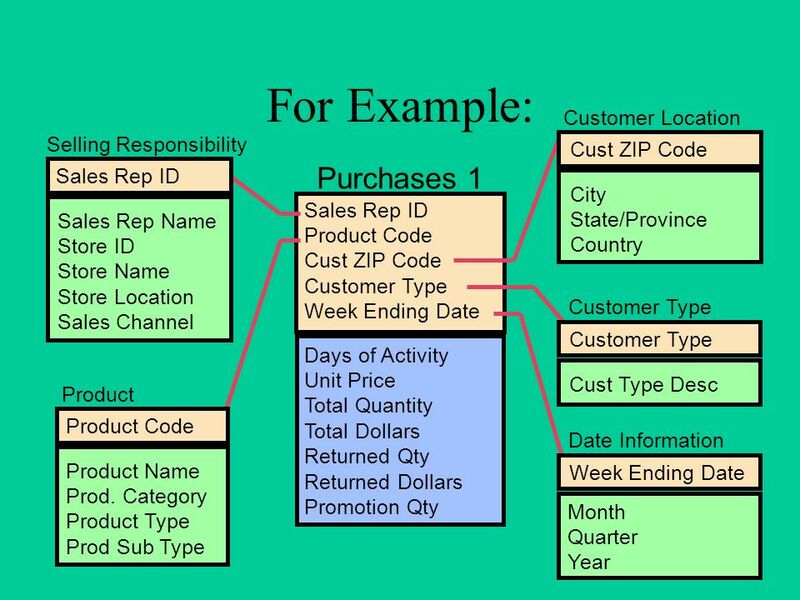 Provide meaningful descriptions and definitions (use business definitions, not technical definitions, where possible). 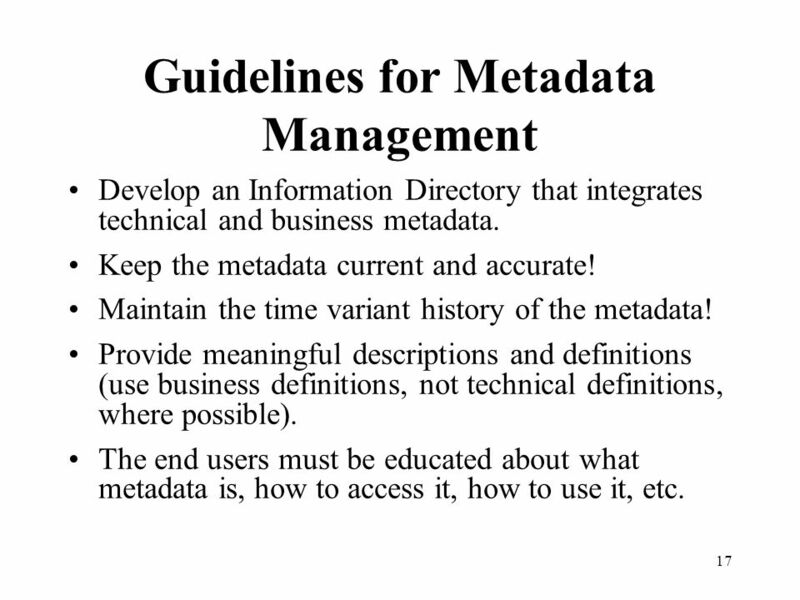 The end users must be educated about what metadata is, how to access it, how to use it, etc. ?? How do I find the data I need? What is the original source of the data? How was this summarization created? 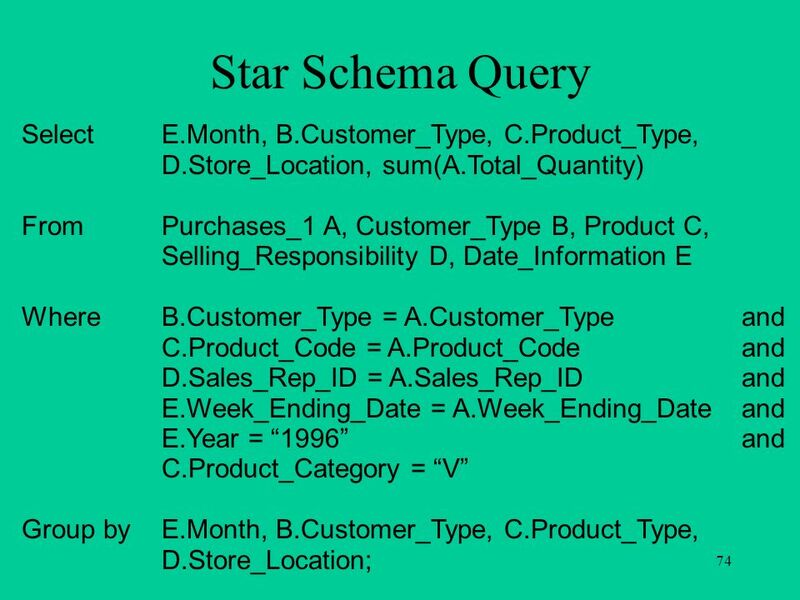 What queries are available to access the data? How have business definitions and terms changed over time? How do product lines vary across organizations? What business assumptions have been made? 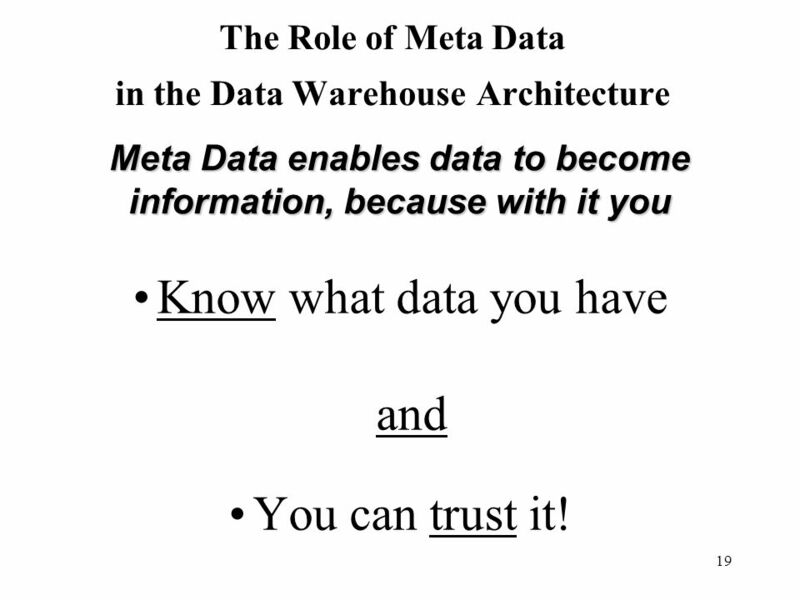 Meta Data enables data to become information, because with it you Know what data you have and You can trust it! 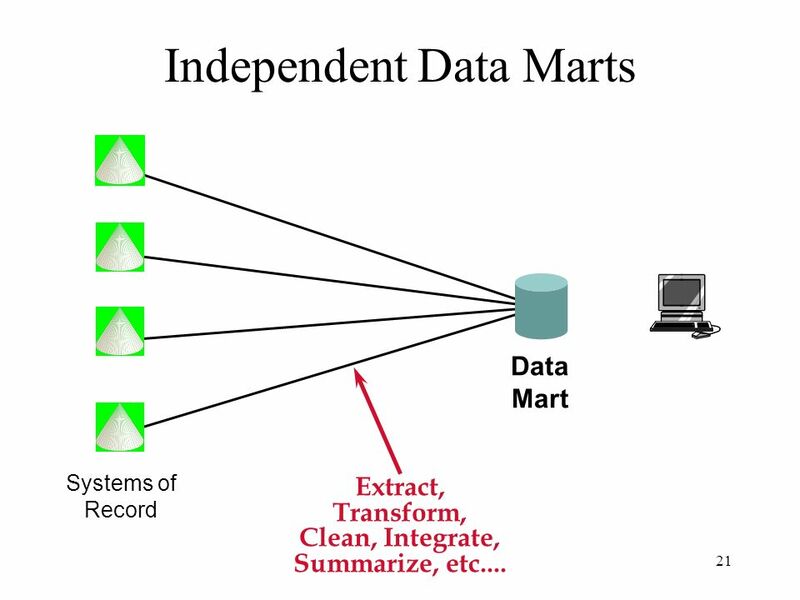 A data mart is a data store that is subsidary to a data warehouse of intergrated data. 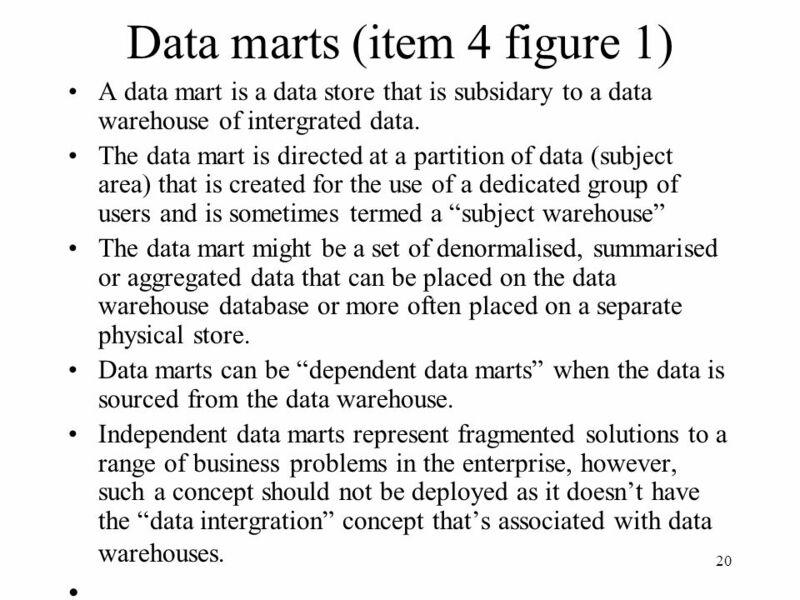 The data mart is directed at a partition of data (subject area) that is created for the use of a dedicated group of users and is sometimes termed a “subject warehouse” The data mart might be a set of denormalised, summarised or aggregated data that can be placed on the data warehouse database or more often placed on a separate physical store. 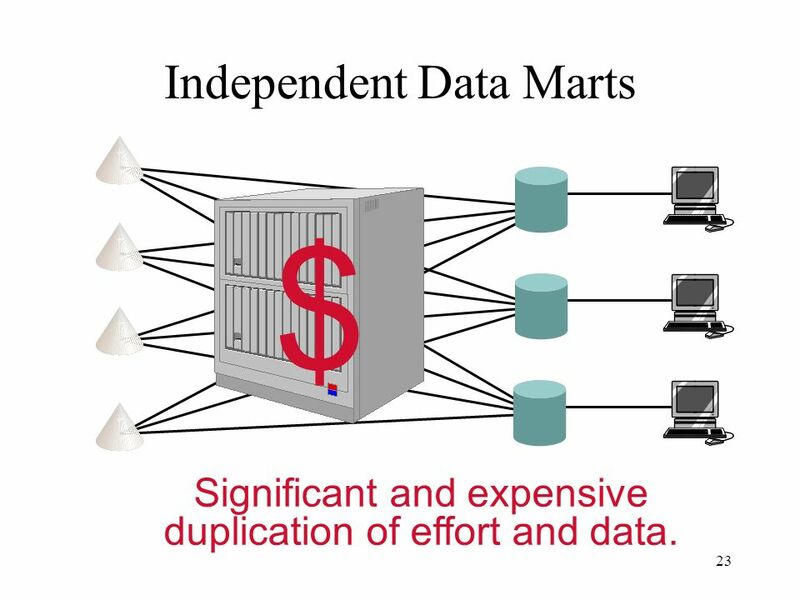 Data marts can be “dependent data marts” when the data is sourced from the data warehouse. 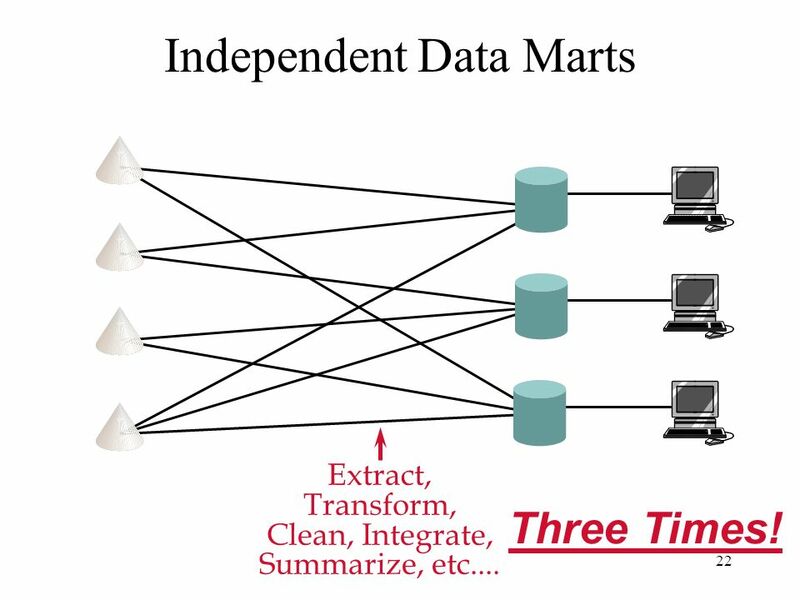 Independent data marts represent fragmented solutions to a range of business problems in the enterprise, however, such a concept should not be deployed as it doesn’t have the “data intergration” concept that’s associated with data warehouses. Extract, Transform, Clean, Integrate, Summarize, etc.... Three Times! $ Significant and expensive duplication of effort and data. $ $ Maintenance of proliferating unarchitected marts expensive and cumbersome. md ? 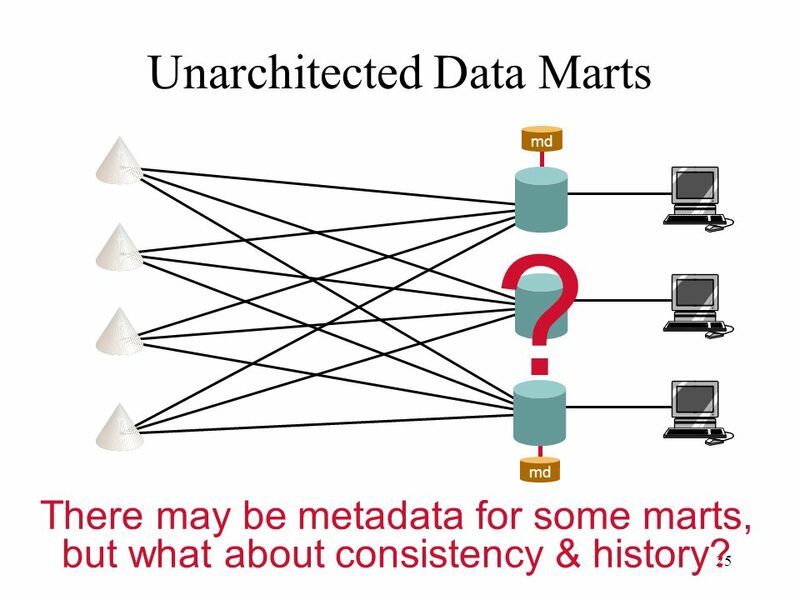 md There may be metadata for some marts, but what about consistency & history? 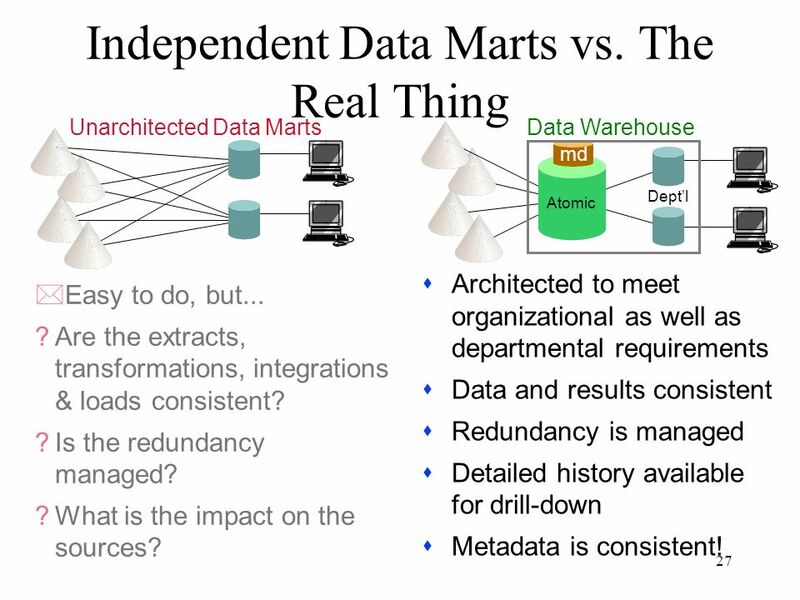 Unarchitected Data Marts Data Warehouse Atomic Dept’l md Architected to meet organizational as well as departmental requirements Data and results consistent Redundancy is managed Detailed history available for drill-down Metadata is consistent! Easy to do, but... Are the extracts, transformations, integrations & loads consistent? Is the redundancy managed? What is the impact on the sources? 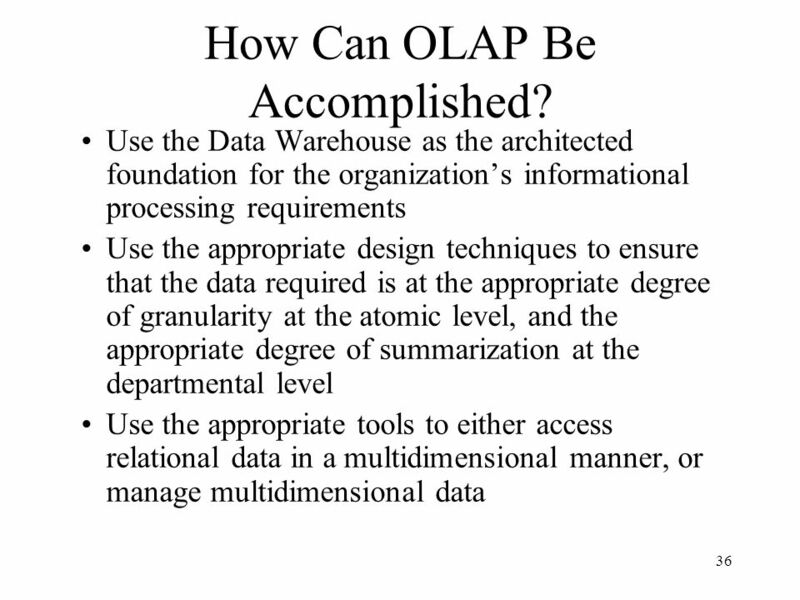 36 How Can OLAP Be Accomplished? 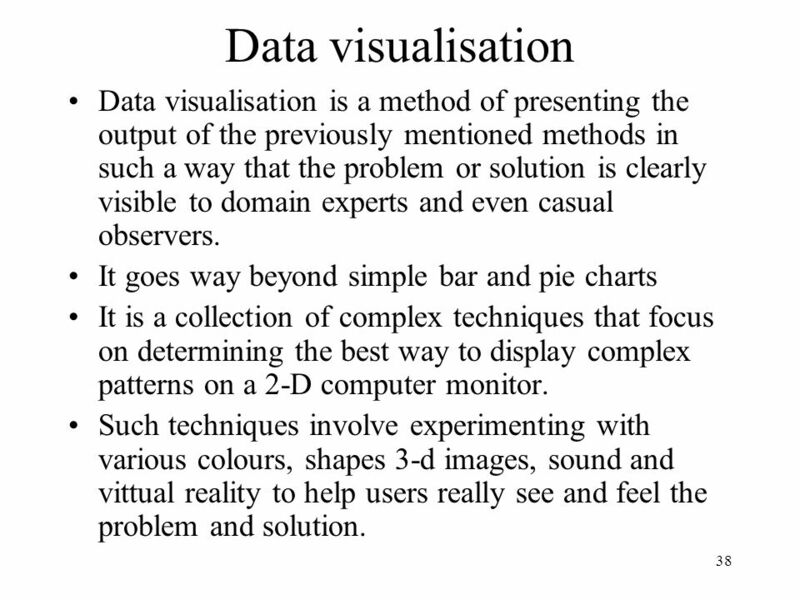 38 Data visualisation Data visualisation is a method of presenting the output of the previously mentioned methods in such a way that the problem or solution is clearly visible to domain experts and even casual observers. It goes way beyond simple bar and pie charts It is a collection of complex techniques that focus on determining the best way to display complex patterns on a 2-D computer monitor. Such techniques involve experimenting with various colours, shapes 3-d images, sound and vittual reality to help users really see and feel the problem and solution. Managing data warehouses involves: Security and priority management Monitoring updates from multiple sources Data quality checks Managing and updataing metadata Replicating, subsetting and distributing data Backup and recovery Data warehouse storage management e.g. capacity planning, hierarchical storage management, purging of aged data. 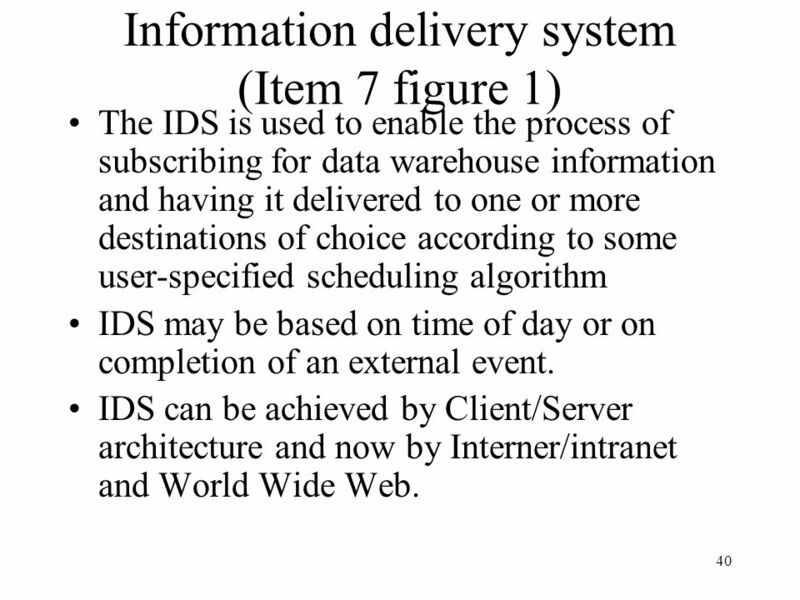 The IDS is used to enable the process of subscribing for data warehouse information and having it delivered to one or more destinations of choice according to some user-specified scheduling algorithm IDS may be based on time of day or on completion of an external event. IDS can be achieved by Client/Server architecture and now by Interner/intranet and World Wide Web. This is a very common trap in which many organizations find themselves. It is traditional to select the hardware, software and other physical, technical components of a system as one of the earliest activities. 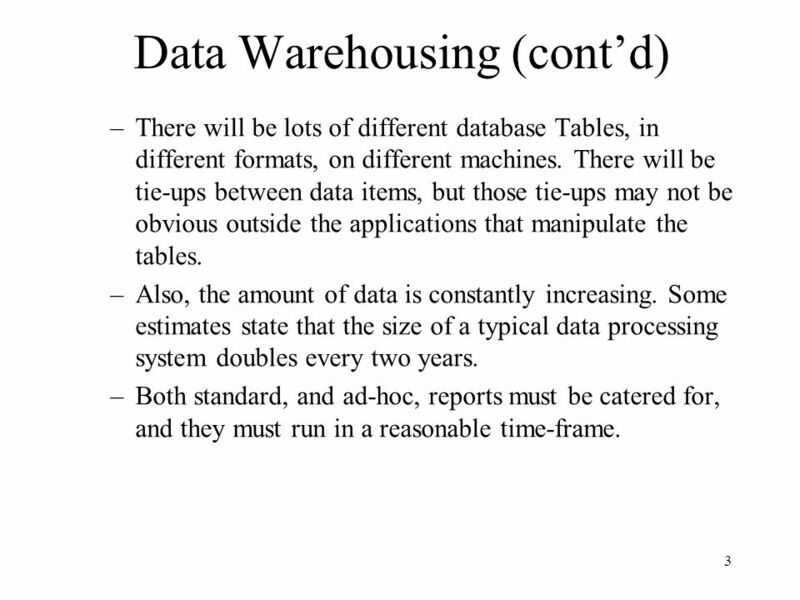 However, a data warehouse is an unstable environment from a sizing perspective. 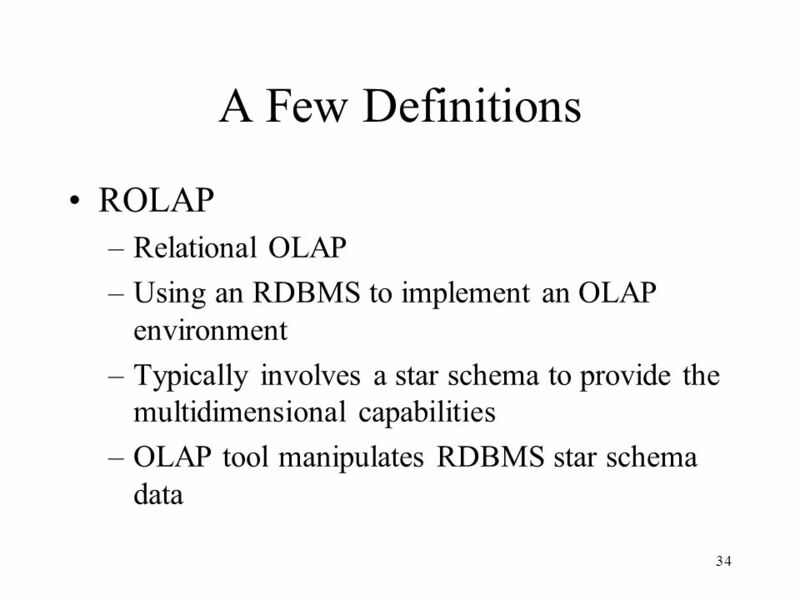 How do you know the hardware/RDBMS/end user tool is appropriate for your data warehouse before conducting even the first round of analysis? If at all possible, wait to select your technical environment until after you have analyzed the business requirements for information, data, and potential systems of record. This is an extension of #10, but is important enough to list by itself. 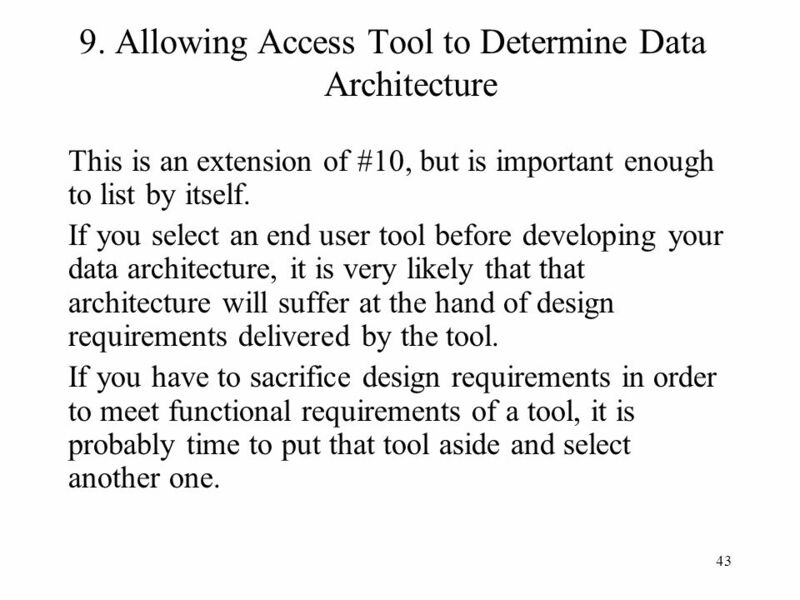 If you select an end user tool before developing your data architecture, it is very likely that that architecture will suffer at the hand of design requirements delivered by the tool. If you have to sacrifice design requirements in order to meet functional requirements of a tool, it is probably time to put that tool aside and select another one. 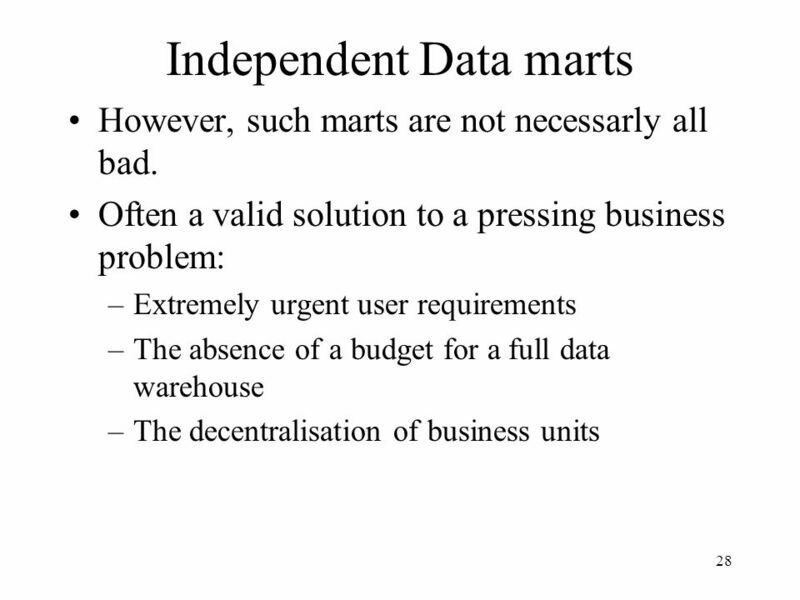 OK. Data marts are good; they are an essential part of the data warehouse architecture. 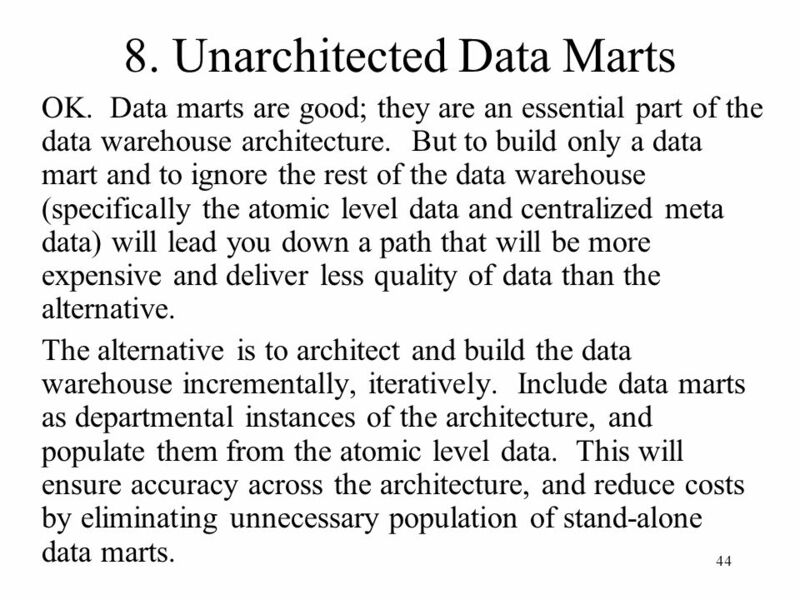 But to build only a data mart and to ignore the rest of the data warehouse (specifically the atomic level data and centralized meta data) will lead you down a path that will be more expensive and deliver less quality of data than the alternative. 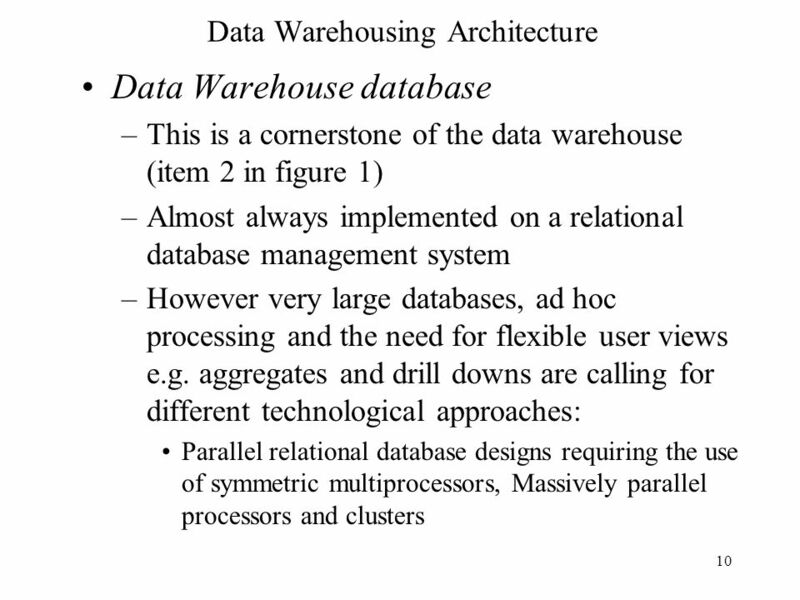 The alternative is to architect and build the data warehouse incrementally, iteratively. 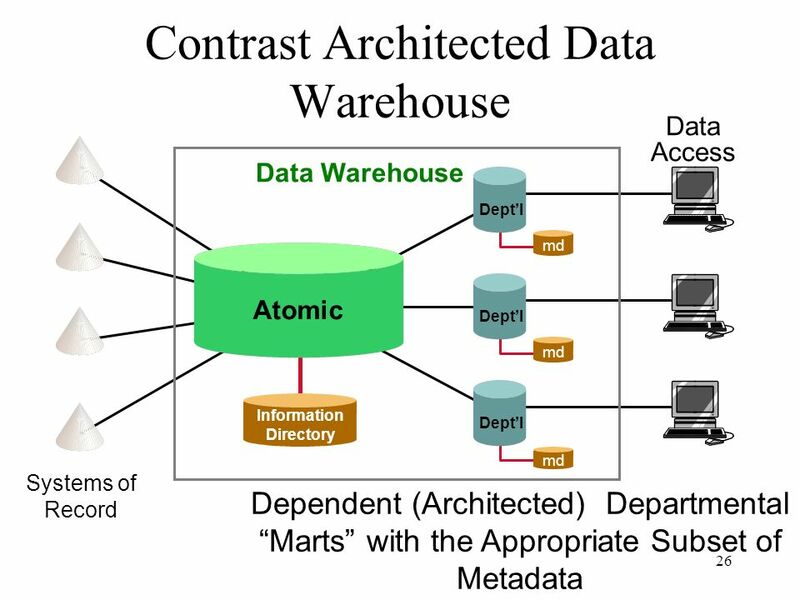 Include data marts as departmental instances of the architecture, and populate them from the atomic level data. This will ensure accuracy across the architecture, and reduce costs by eliminating unnecessary population of stand-alone data marts. 45 7. 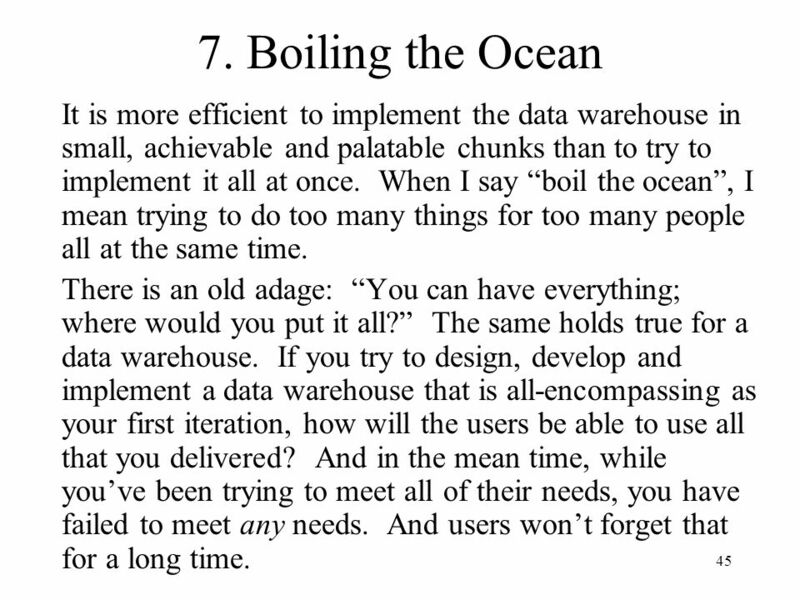 Boiling the Ocean It is more efficient to implement the data warehouse in small, achievable and palatable chunks than to try to implement it all at once. When I say “boil the ocean”, I mean trying to do too many things for too many people all at the same time. 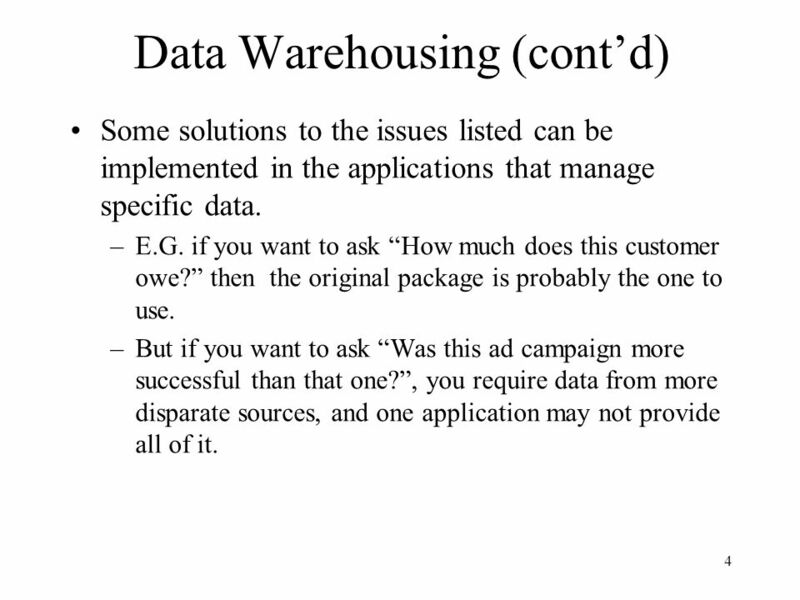 There is an old adage: “You can have everything; where would you put it all?” The same holds true for a data warehouse. 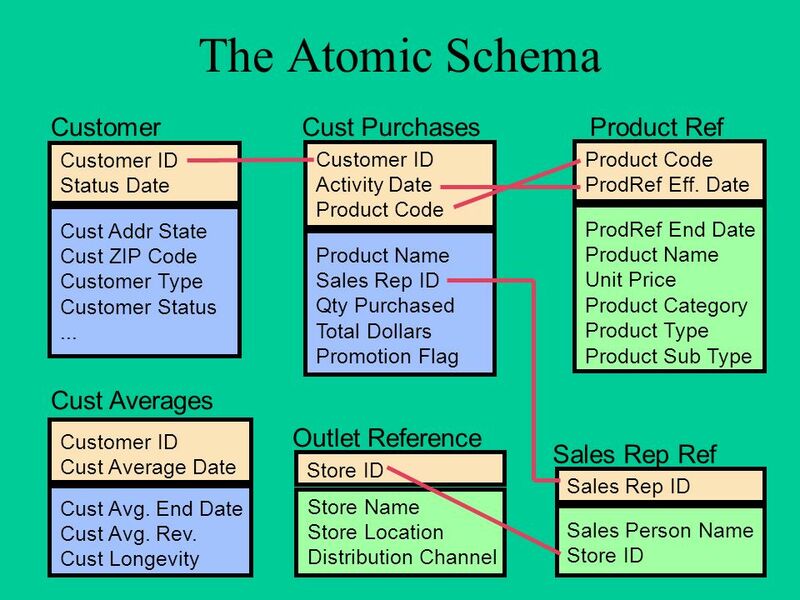 If you try to design, develop and implement a data warehouse that is all-encompassing as your first iteration, how will the users be able to use all that you delivered? And in the mean time, while you’ve been trying to meet all of their needs, you have failed to meet any needs. And users won’t forget that for a long time. If you design, develop and implement an operational system, such as an order processing system, that new system is typically going to replace an existing system. In other words, the old system goes away and the users have no choice but to use the new one. Not so with the d/w. 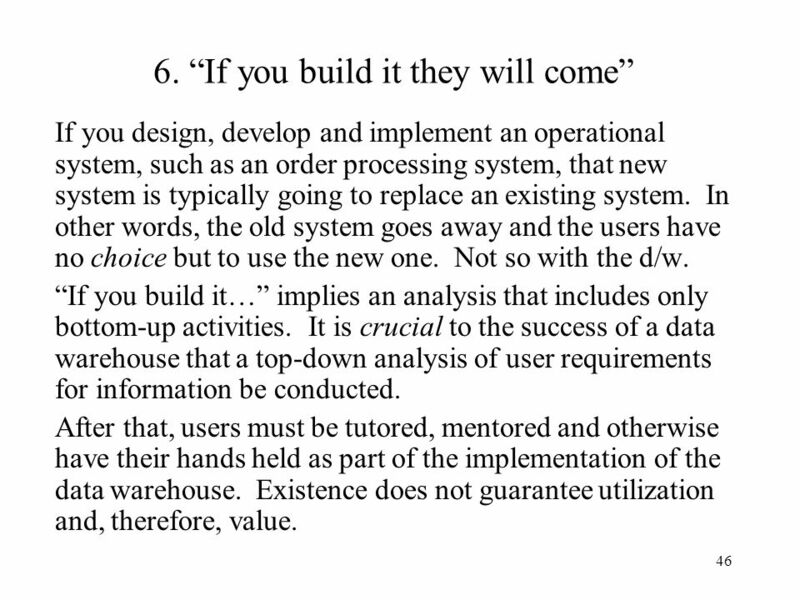 “If you build it…” implies an analysis that includes only bottom-up activities. It is crucial to the success of a data warehouse that a top-down analysis of user requirements for information be conducted. 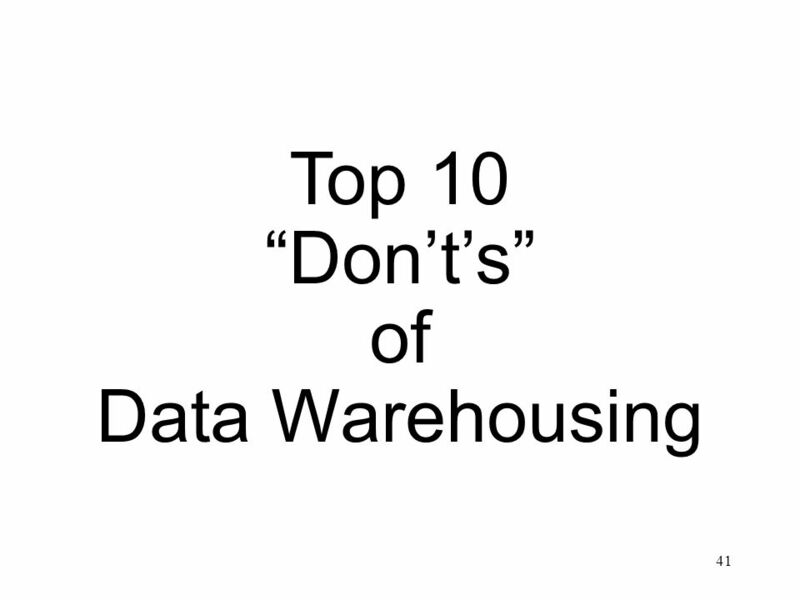 After that, users must be tutored, mentored and otherwise have their hands held as part of the implementation of the data warehouse. Existence does not guarantee utilization and, therefore, value. It is very difficult to quantify the intangible benefits that a data warehouse can provide to an organization. How can you put a price on increased customer loyalty. Somewhere, sometime, someone has probably made this calculation. 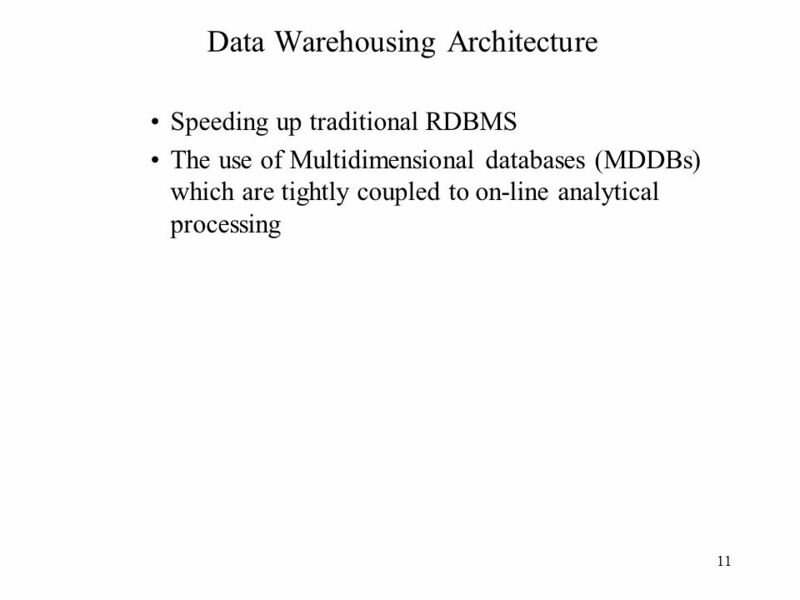 In most cases, however, the determination of how beneficial the data warehouse will be is based on criteria that was developed for operational systems. 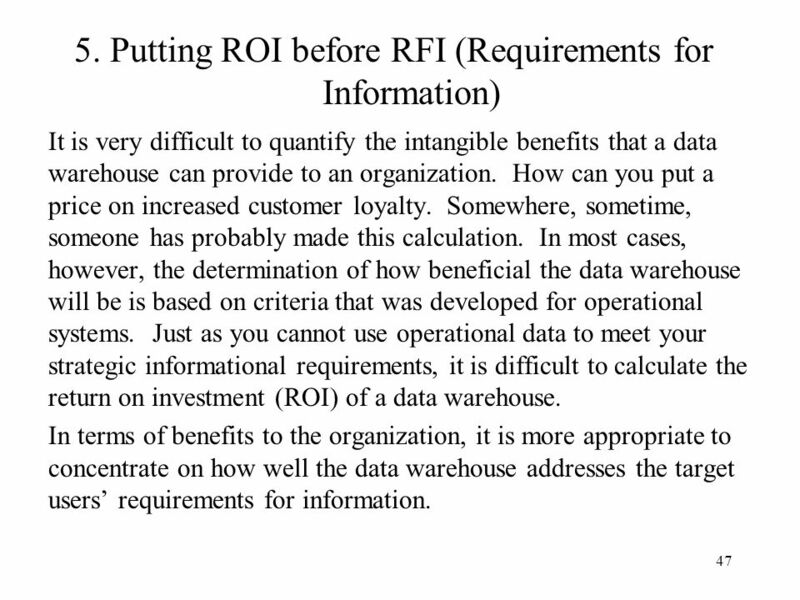 Just as you cannot use operational data to meet your strategic informational requirements, it is difficult to calculate the return on investment (ROI) of a data warehouse. In terms of benefits to the organization, it is more appropriate to concentrate on how well the data warehouse addresses the target users’ requirements for information. Write this down: The success of any data warehouse is directly proportional to the amount of end user participation! 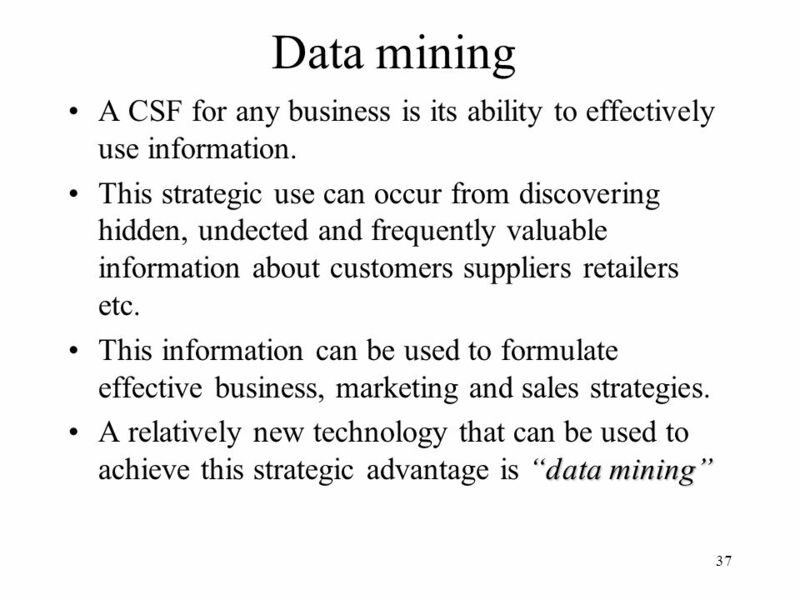 A data warehouse cannot be successful without active participate on the part of the target users. Period. If you do not have user participation, you will find yourself in a situation where you will build it and hope that they will come. If there is no serious user participation in a data warehouse project, you have to seriously question whether or not the organization truly needs a data warehouse. 49 3. 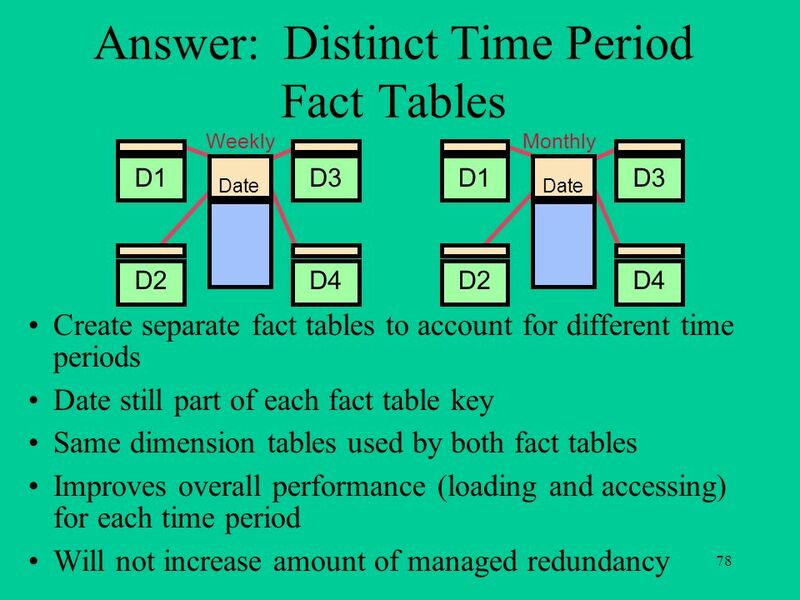 No Dedicated DBA In many situations the lack of a dedicated database administrator (DBA) has prevented a data warehouse project to be complete 1) on time, or 2) successfully. 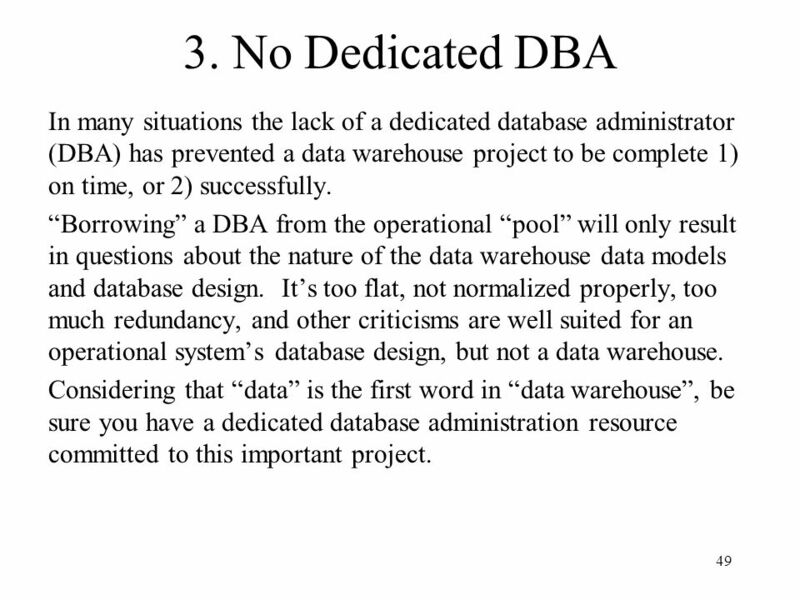 “Borrowing” a DBA from the operational “pool” will only result in questions about the nature of the data warehouse data models and database design. 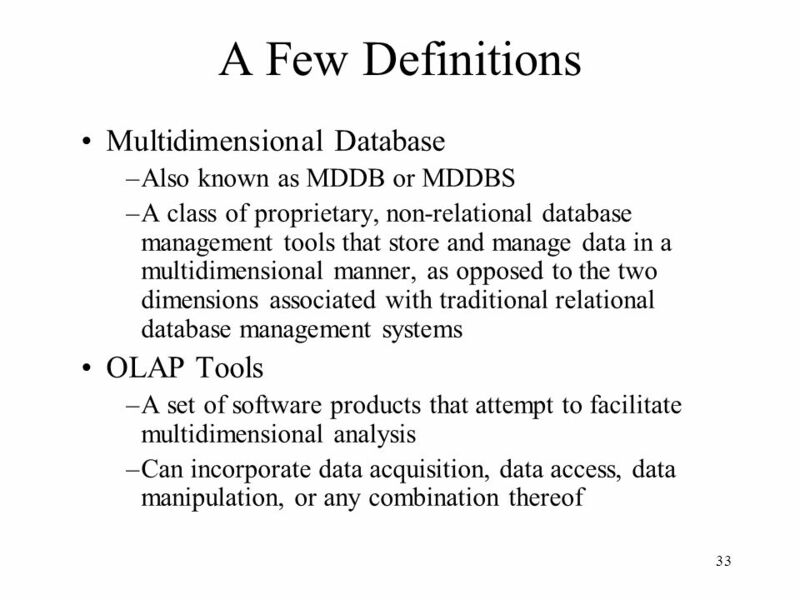 It’s too flat, not normalized properly, too much redundancy, and other criticisms are well suited for an operational system’s database design, but not a data warehouse. 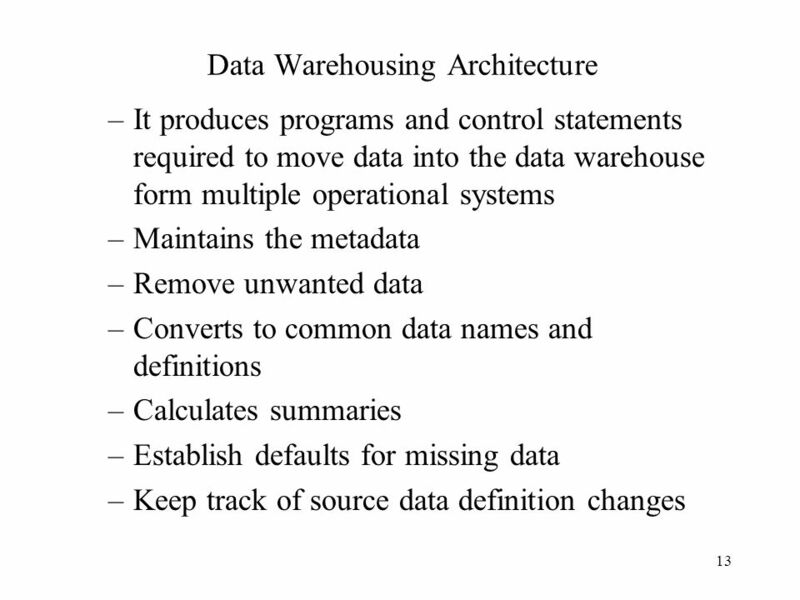 Considering that “data” is the first word in “data warehouse”, be sure you have a dedicated database administration resource committed to this important project. 50 2. 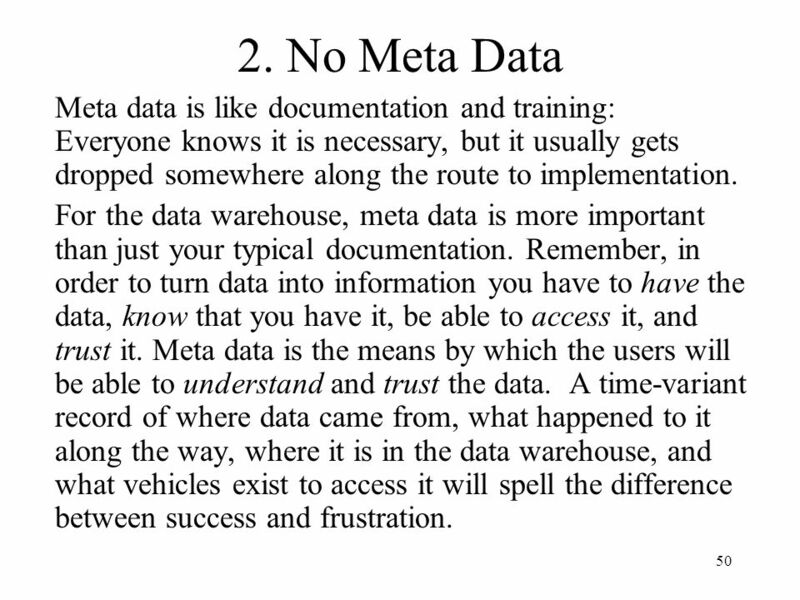 No Meta Data Meta data is like documentation and training: Everyone knows it is necessary, but it usually gets dropped somewhere along the route to implementation. 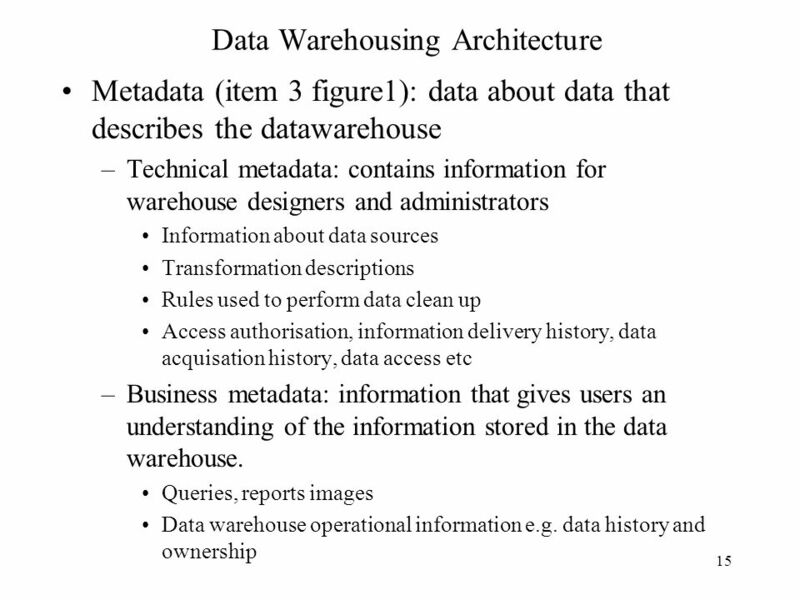 For the data warehouse, meta data is more important than just your typical documentation. Remember, in order to turn data into information you have to have the data, know that you have it, be able to access it, and trust it. Meta data is the means by which the users will be able to understand and trust the data. A time-variant record of where data came from, what happened to it along the way, where it is in the data warehouse, and what vehicles exist to access it will spell the difference between success and frustration. 51 1. Analysis Paralysis The inability to proceed past a sticking question. Wanting to “boil the ocean” and model/design everything before proceeding with development. Having to resolve political issues surrounding a “standard” or “common” definition. All of these things (and more!) will result in analysis paralysis. 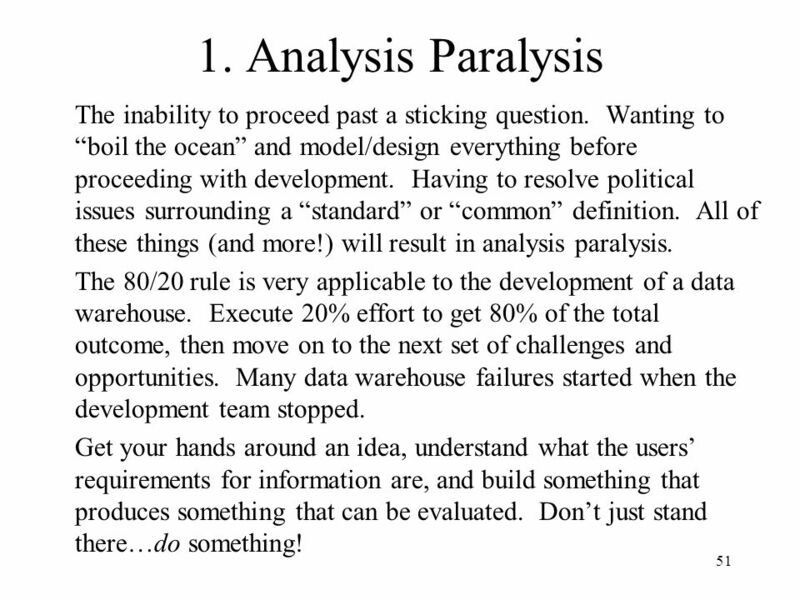 The 80/20 rule is very applicable to the development of a data warehouse. Execute 20% effort to get 80% of the total outcome, then move on to the next set of challenges and opportunities. Many data warehouse failures started when the development team stopped. Get your hands around an idea, understand what the users’ requirements for information are, and build something that produces something that can be evaluated. Don’t just stand there…do something! SMP - means the O.S. runs and schedules tasks on more than one processor without distinction. in other words, all processors are treated equally in an effort to get the list of jobs done. MPP - more varied in its design, but essentially consists of multiple processors, each running their own program. 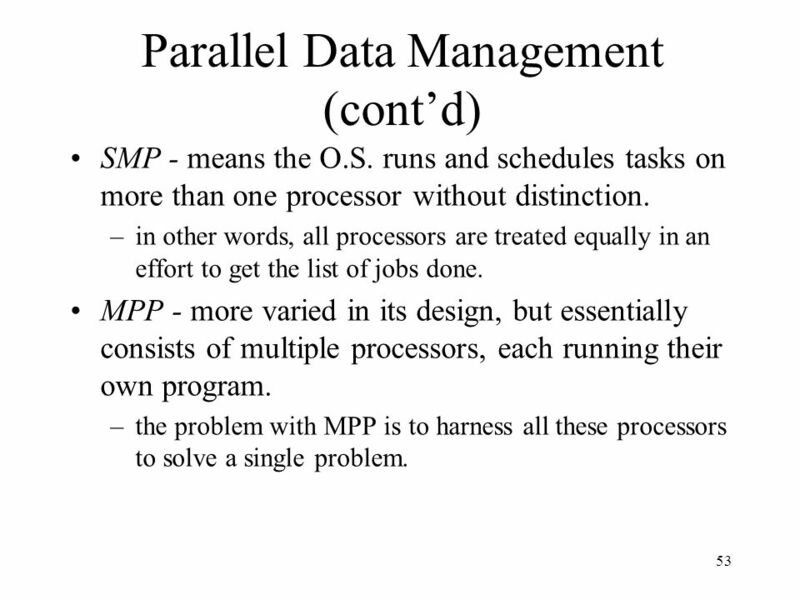 the problem with MPP is to harness all these processors to solve a single problem. Regardless of the architecture used, there are still alternatives regarding the use of the parallel processing capabilities. In normal Transaction processing, each transaction runs on a separate processor, because transactions are small units of work that run in a reasonable time-span. 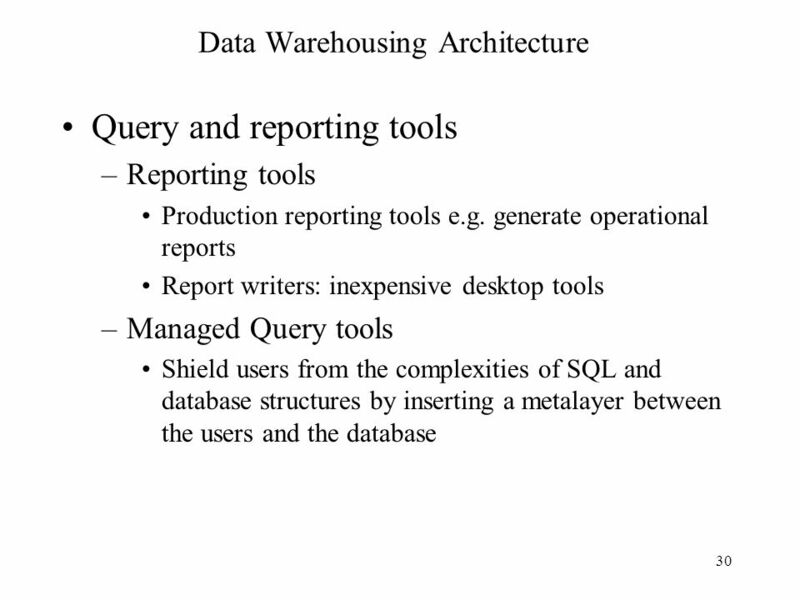 However, the type of analysis carried out in data warehouse applications isn’t like that. Typically you want to run a query that looks at all the data in a set of tables. 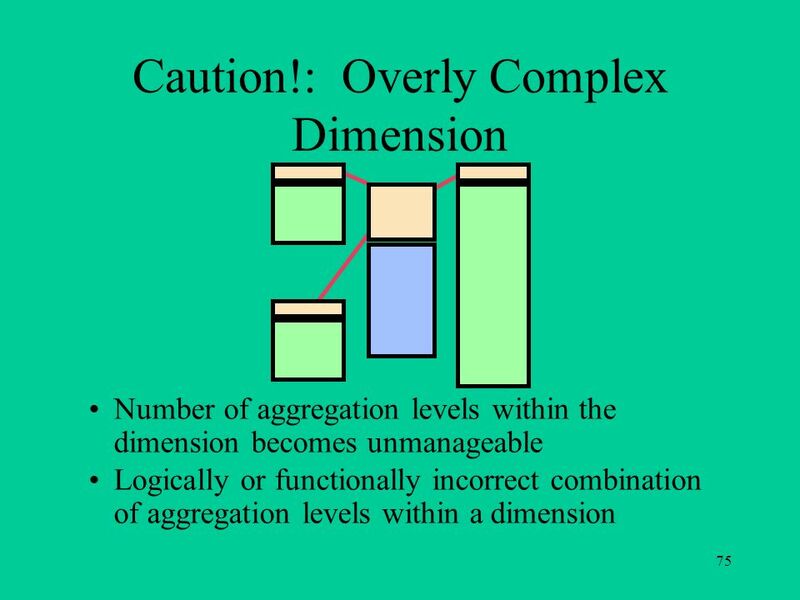 The problem is splitting that into chunks that can be assigned to the multiple processors. 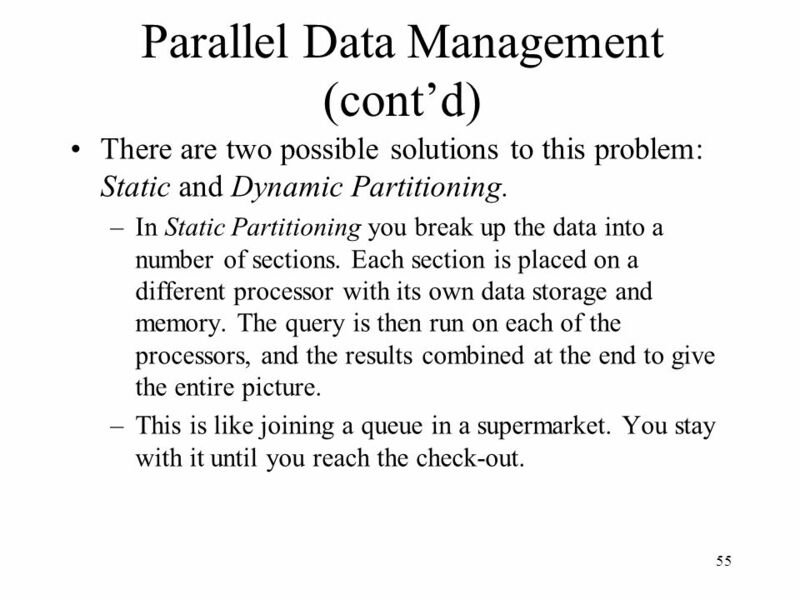 There are two possible solutions to this problem: Static and Dynamic Partitioning. 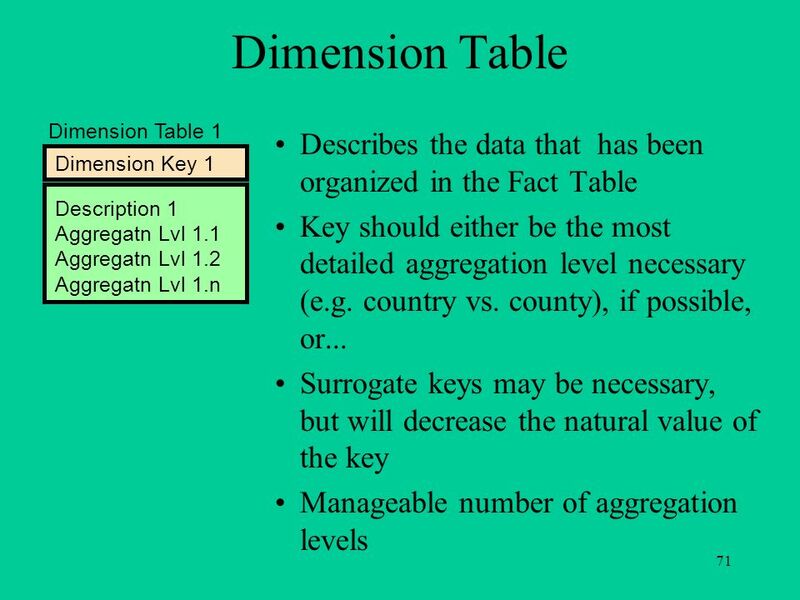 In Static Partitioning you break up the data into a number of sections. Each section is placed on a different processor with its own data storage and memory. The query is then run on each of the processors, and the results combined at the end to give the entire picture. This is like joining a queue in a supermarket. You stay with it until you reach the check-out. 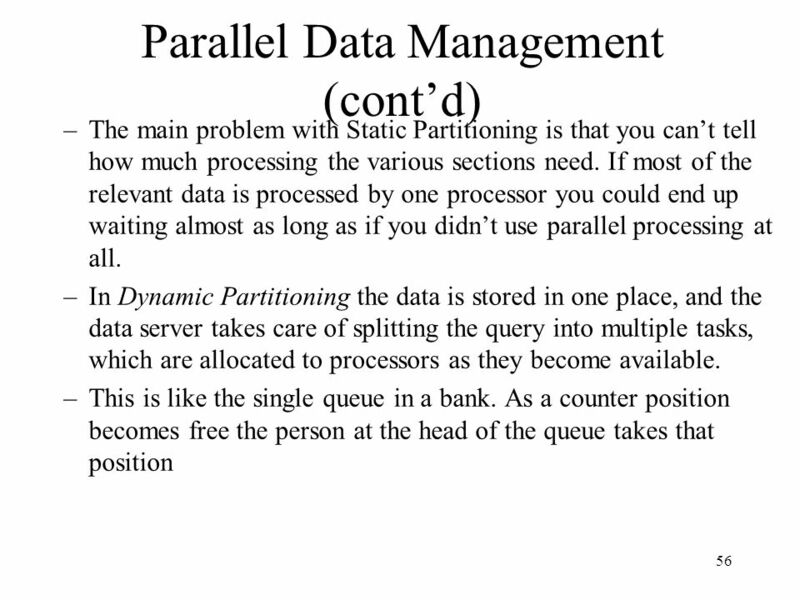 With Dynamic Partitioning the performance improvement can be dramatic, but the partitioning is out of the users hands. 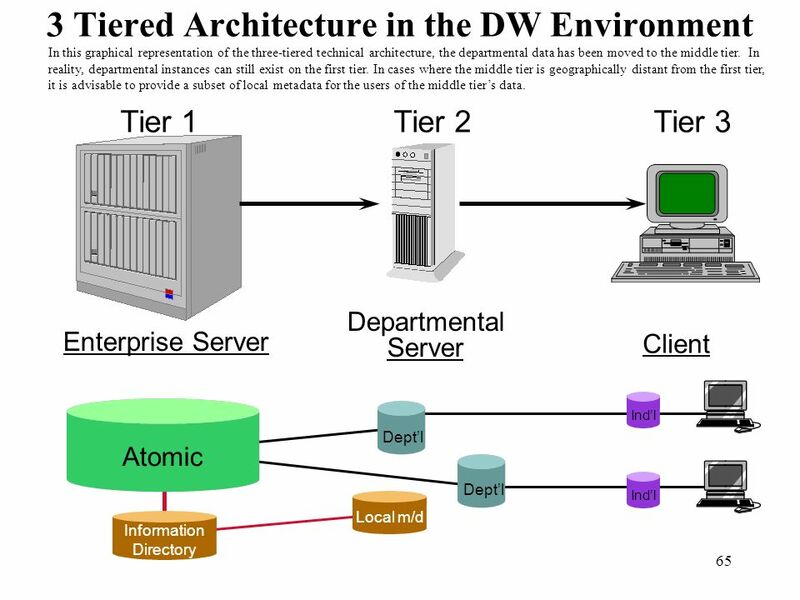 Enterprise Server Tier 2 Client Atomic Data Acquisition Organizational Level Data Secondary Data Acquisition Departmental Level Data This slide depicts where the various components of the data warehouse architecture would fall in a two-tiered technical architecture. 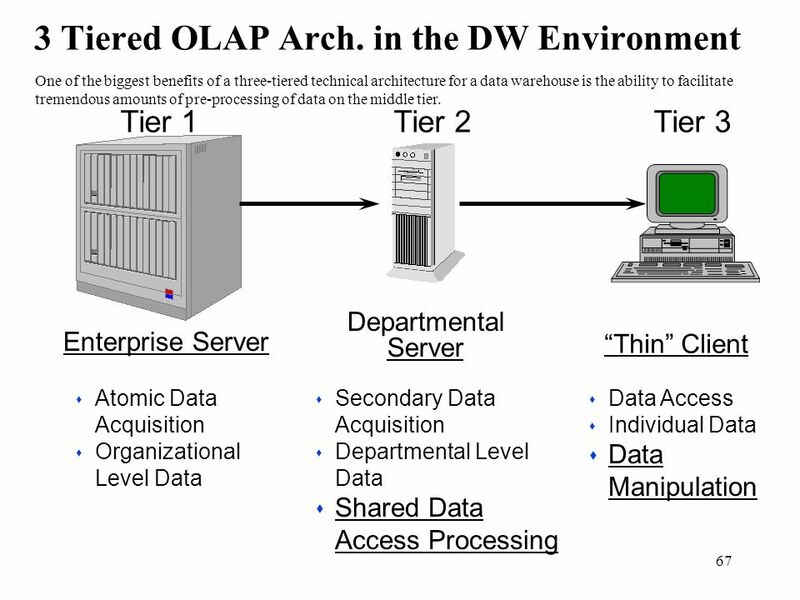 Data Access Processing Individual Level Data Data Manipulation This slide depicts where the various components of the data warehouse architecture would fall in a two-tiered technical architecture. 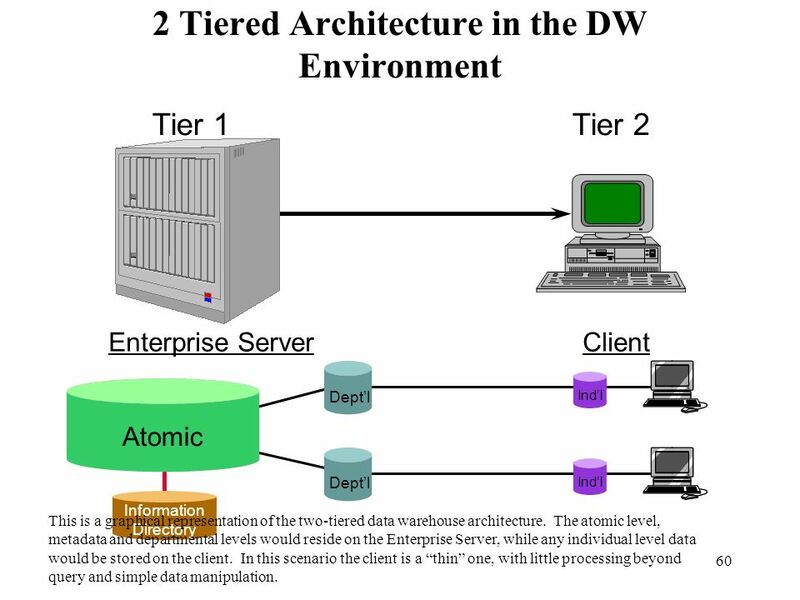 Enterprise Server Tier 2 Client Dept’l Atomic Ind’l Information Directory This is a graphical representation of the two-tiered data warehouse architecture. 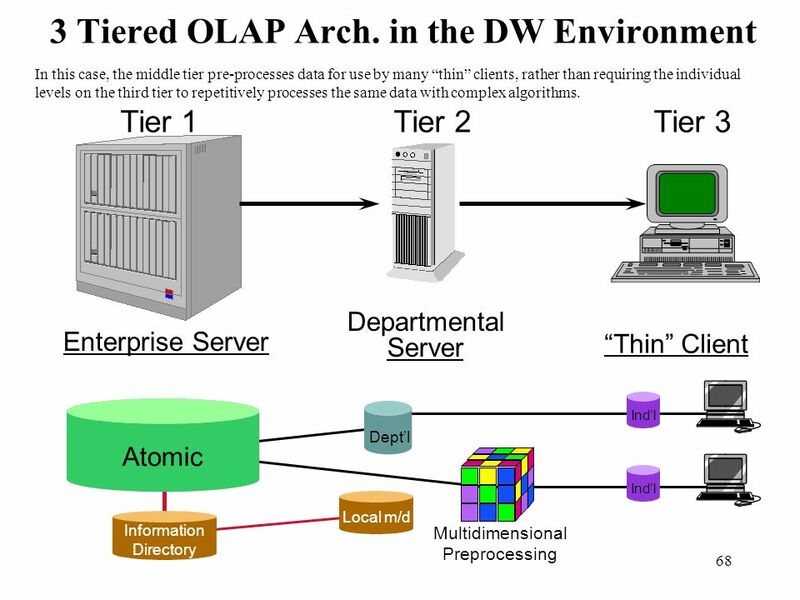 The atomic level, metadata and departmental levels would reside on the Enterprise Server, while any individual level data would be stored on the client. 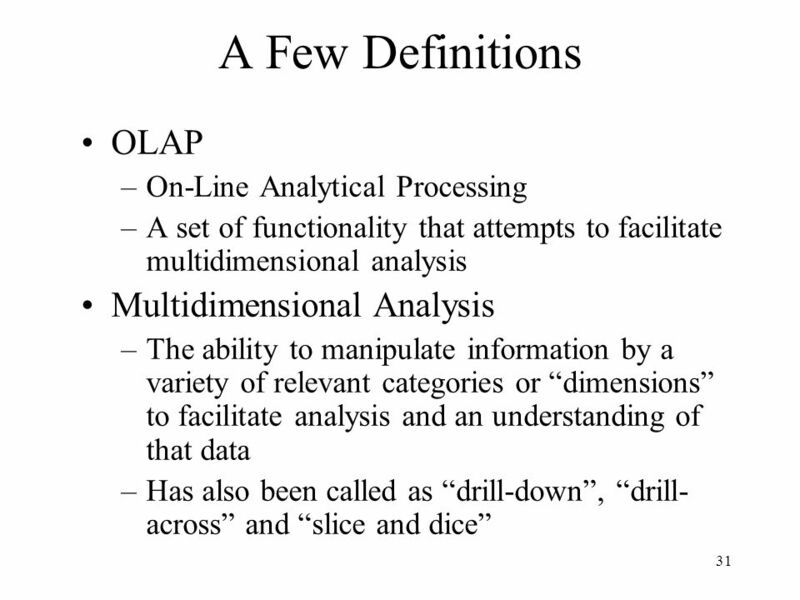 In this scenario the client is a “thin” one, with little processing beyond query and simple data manipulation. 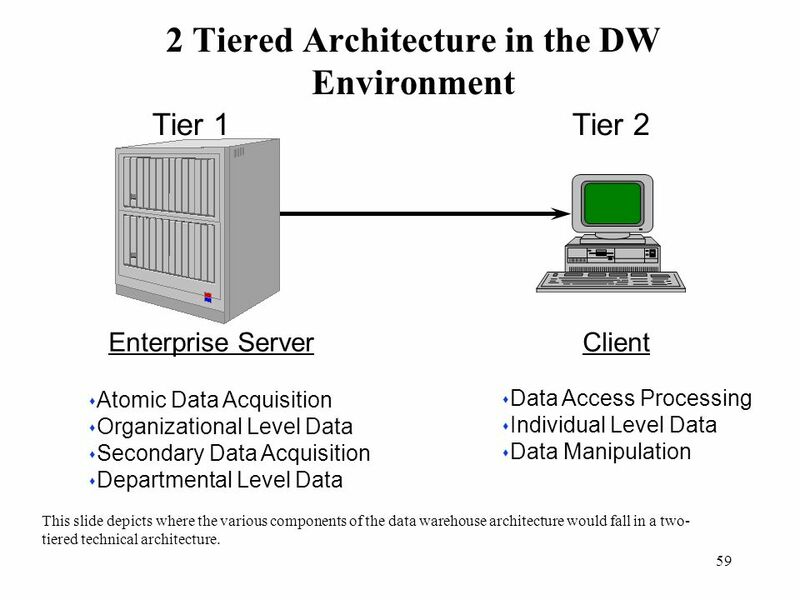 This is a graphical representation of the two-tiered data warehouse architecture. 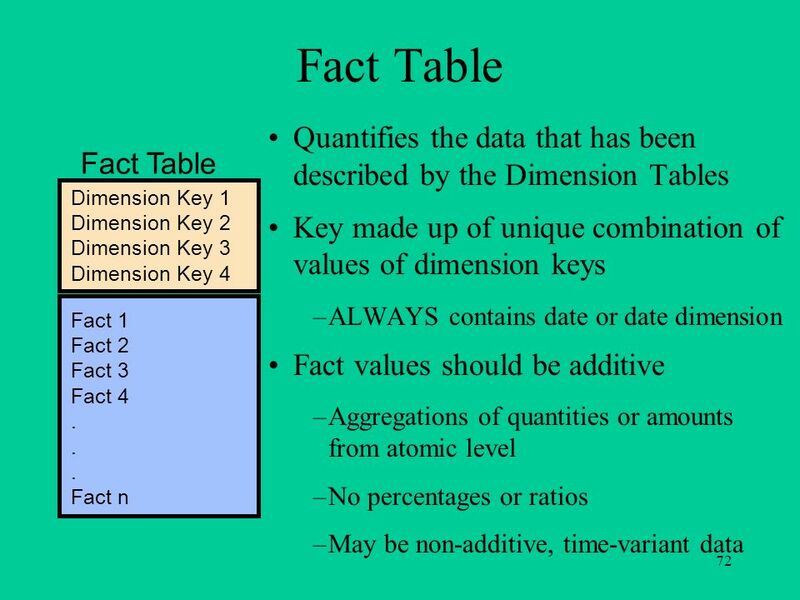 The atomic level, metadata and departmental levels would reside on the Enterprise Server, while any individual level data would be stored on the client. 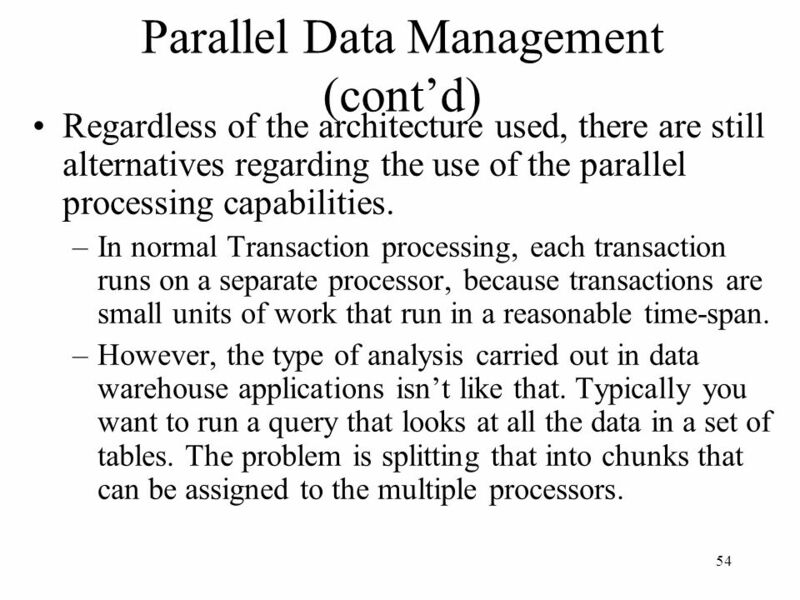 In this scenario the client is a “thin” one, with little processing beyond query and simple data manipulation. 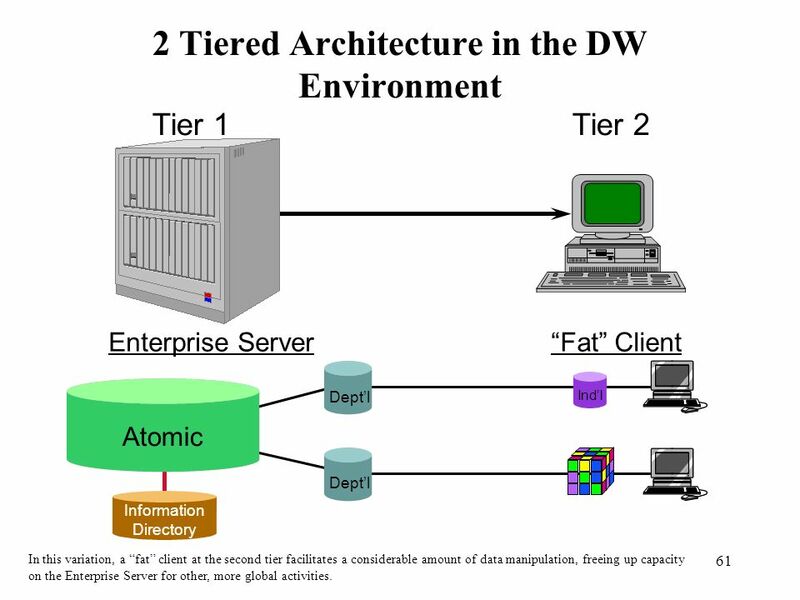 Enterprise Server Tier 2 “Fat” Client Dept’l Atomic Ind’l Information Directory In this variation, a “fat” client at the second tier facilitates a considerable amount of data manipulation, freeing up capacity on the Enterprise Server for other, more global activities. In this variation, a “fat” client at the second tier facilitates a considerable amount of data manipulation, freeing up capacity on the Enterprise Server for other, more global activities. 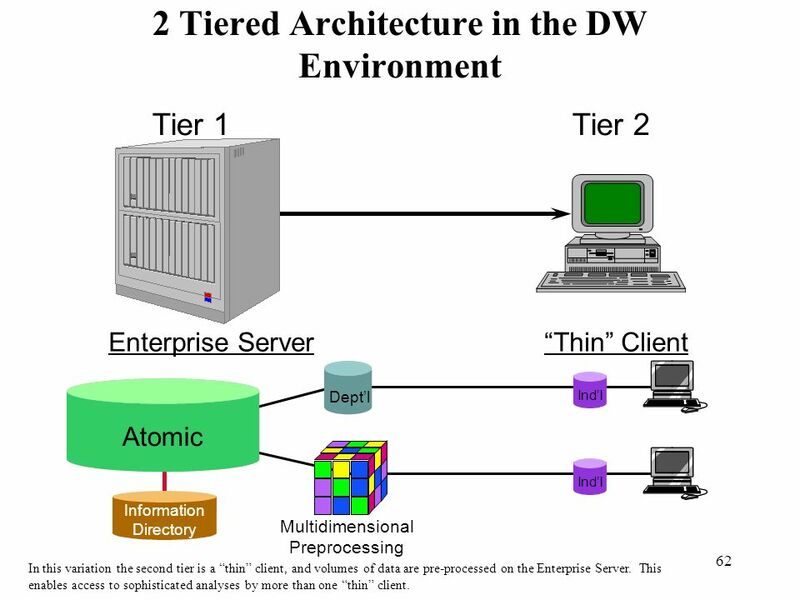 Enterprise Server Tier 2 “Thin” Client Dept’l Atomic Ind’l Information Directory Multidimensional Preprocessing In this variation the second tier is a “thin” client, and volumes of data are pre-processed on the Enterprise Server. This enables access to sophisticated analyses by more than one “thin” client. In this variation the second tier is a “thin” client, and volumes of data are pre-processed on the Enterprise Server. This enables access to sophisticated analyses by more than one “thin” client. 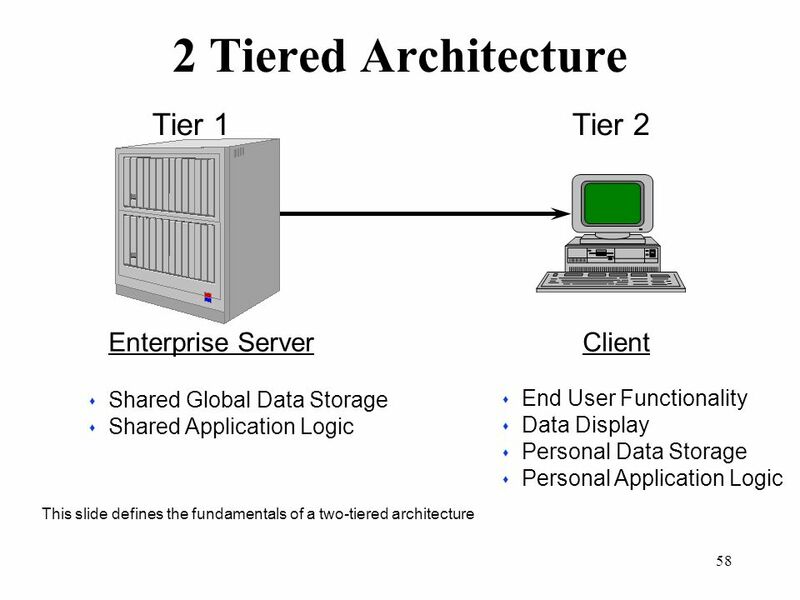 Enterprise Server Tier 2 Departmental Server Tier 3 Client Shared Global Data Storage Shared Application Logic In a three-tiered technical environment a “middle” tier has been added for shared data and application logic. Shared Local Data Shared Application Logic End User Functionality Personal Data Storage Personal Application Logic In a three-tiered technical environment a “middle” tier has been added for shared data and application logic. Enterprise Server Tier 2 Departmental Server Tier 3 Client Atomic Data Acquisition Organizational Level Data In the data warehouse, this middle tier can take on the responsibility for departmental level (data mart) processing. There is little or no impact on the third tier, while the first tier is relieved of some mid-level functionality. Secondary Data Acquisition Departmental Level Data Data Access Processing Individual Data Data Manipulation In the data warehouse, this middle tier can take on the responsibility for departmental level (data mart) processing. There is little or no impact on the third tier, while the first tier is relieved of some mid-level functionality. 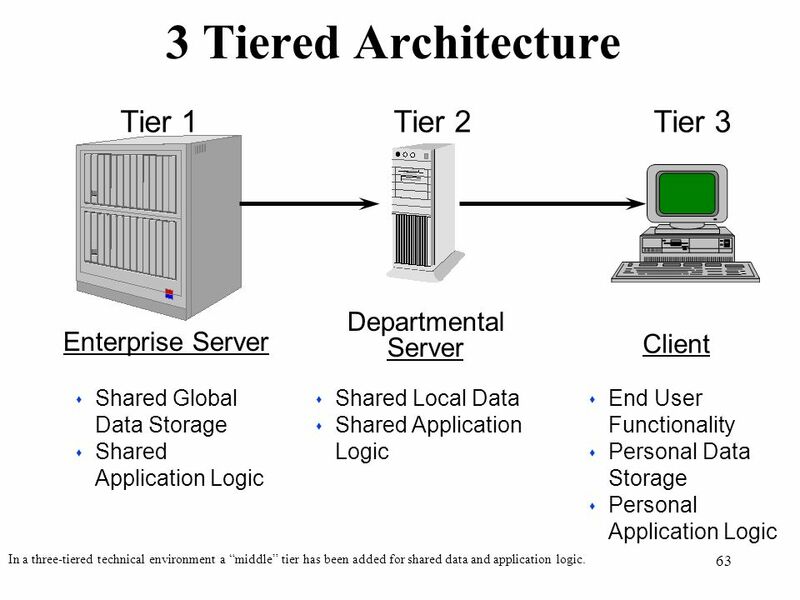 In this graphical representation of the three-tiered technical architecture, the departmental data has been moved to the middle tier. In reality, departmental instances can still exist on the first tier. 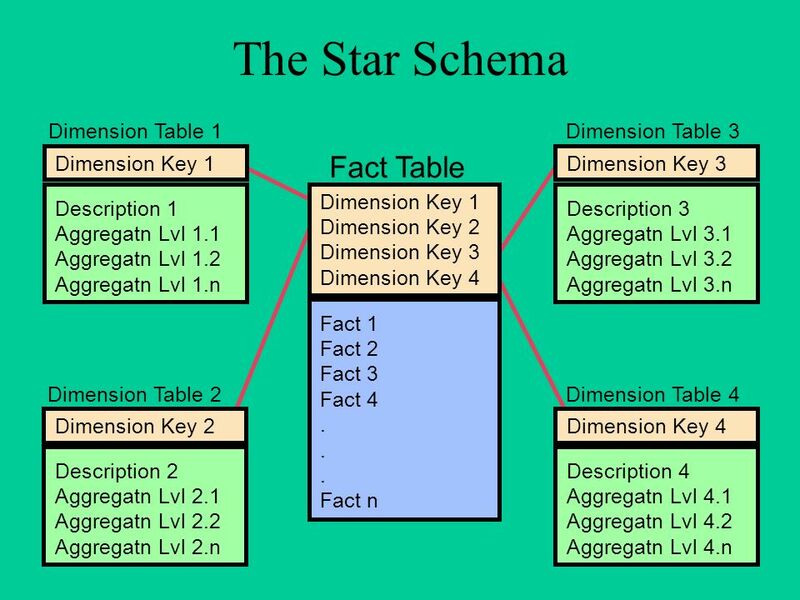 In cases where the middle tier is geographically distant from the first tier, it is advisable to provide a subset of local metadata for the users of the middle tier’s data. 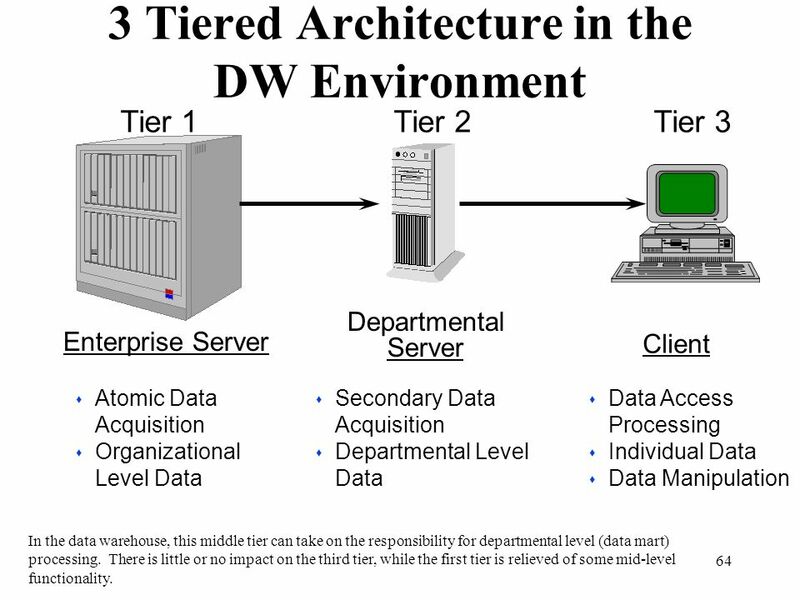 Tier 1 Enterprise Server Tier 2 Departmental Server Tier 3 Client Dept’l Atomic Ind’l Local m/d Information Directory In this graphical representation of the three-tiered technical architecture, the departmental data has been moved to the middle tier. In reality, departmental instances can still exist on the first tier. 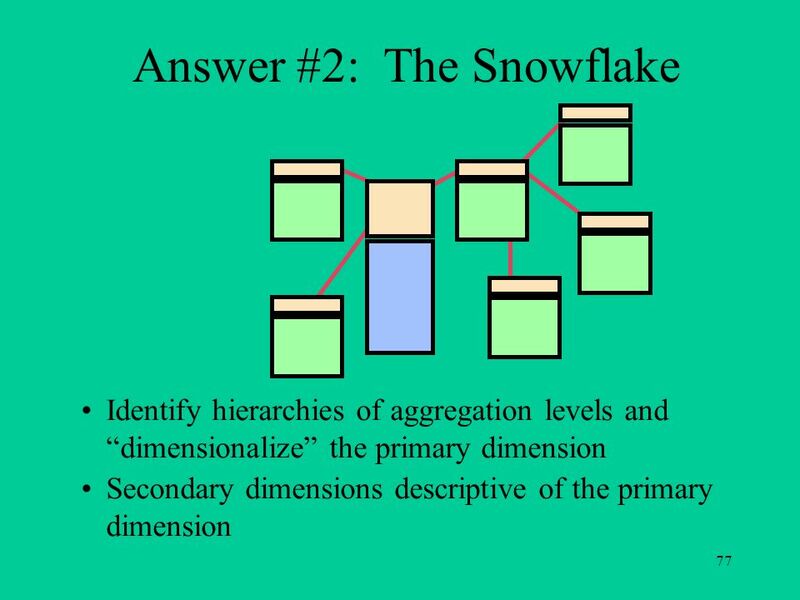 In cases where the middle tier is geographically distant from the first tier, it is advisable to provide a subset of local metadata for the users of the middle tier’s data. This scenario also supports a “fat” client at the third tier, where the individual level data is maintained and manipulated. 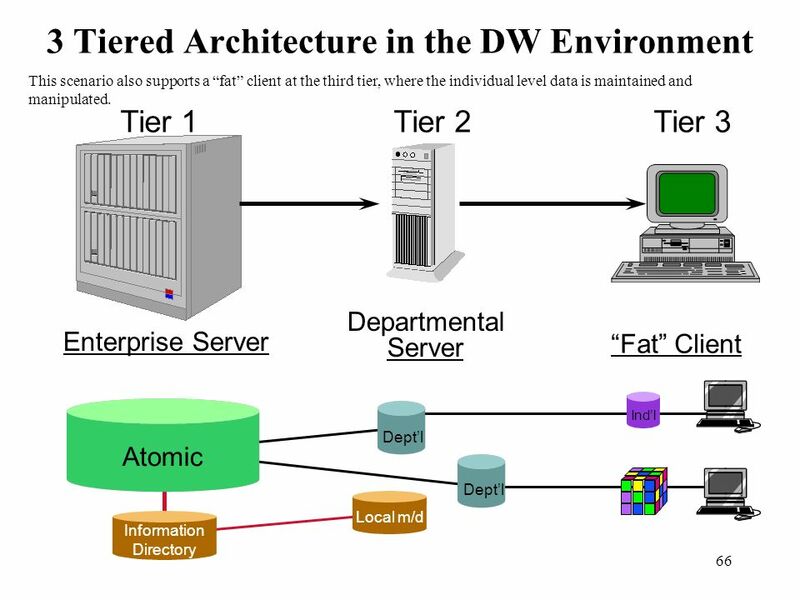 Tier 1 Enterprise Server Tier 2 Departmental Server Tier 3 “Fat” Client Dept’l Atomic Ind’l Local m/d Information Directory This scenario also supports a “fat” client at the third tier, where the individual level data is maintained and manipulated. In this case, the middle tier pre-processes data for use by many “thin” clients, rather than requiring the individual levels on the third tier to repetitively processes the same data with complex algorithms. Tier 1 Enterprise Server Tier 2 Departmental Server Tier 3 “Thin” Client Dept’l Atomic Multidimensional Preprocessing Information Directory Local m/d Ind’l In this case, the middle tier pre-processes data for use by many “thin” clients, rather than requiring the individual levels on the third tier to repetitively processes the same data with complex algorithms. 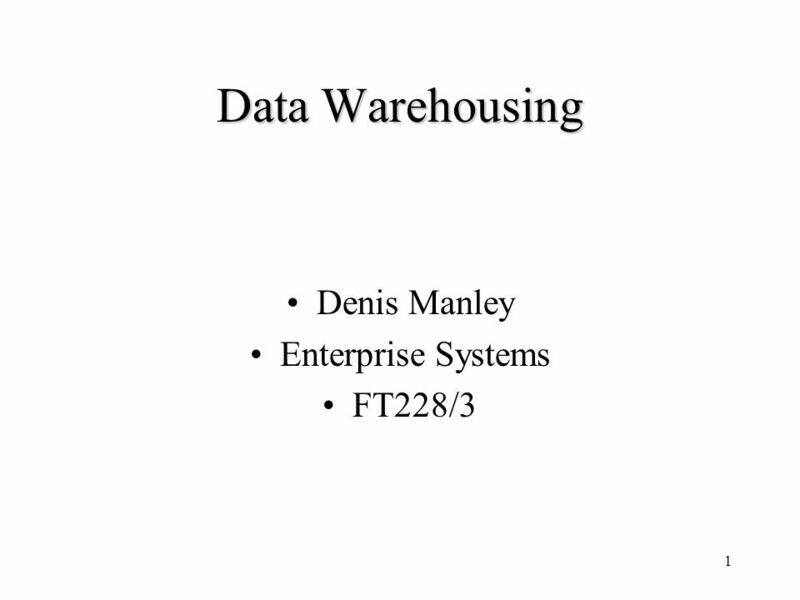 Download ppt "Data Warehousing Denis Manley Enterprise Systems FT228/3." The Organisation As A System An information management framework The Performance Organiser Data Warehousing. 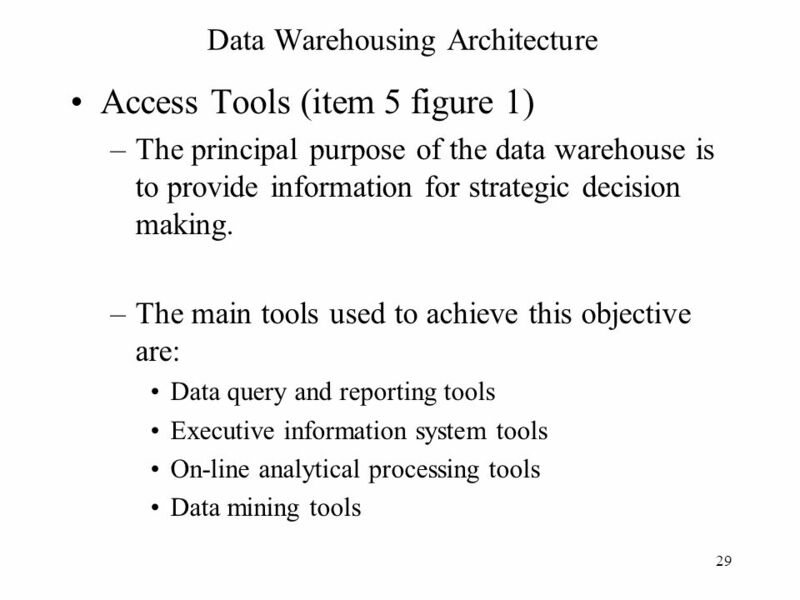 The Data Warehouse “A data warehouse is a subject-oriented, integrated, time-variant, and nonvolatile collection of “all” an organisation’s data in support.